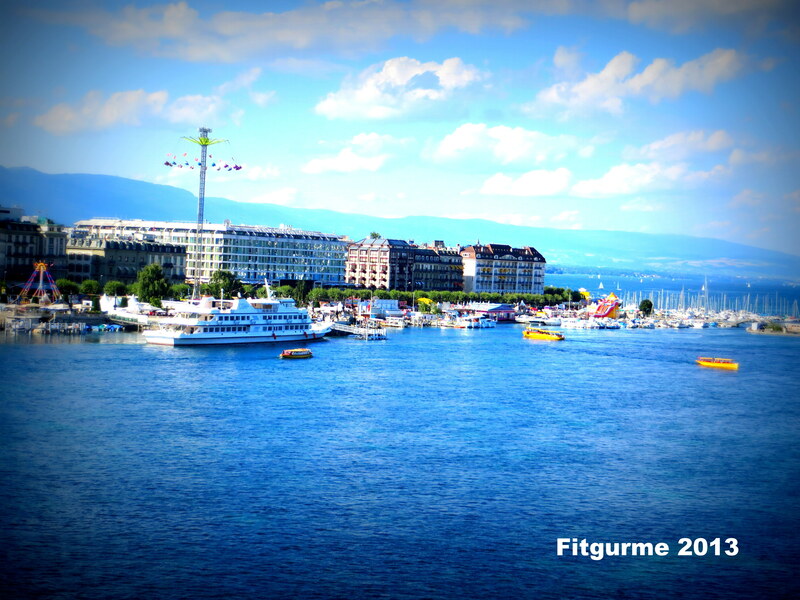 Posted by fitgurme in Travel, Welcome ! 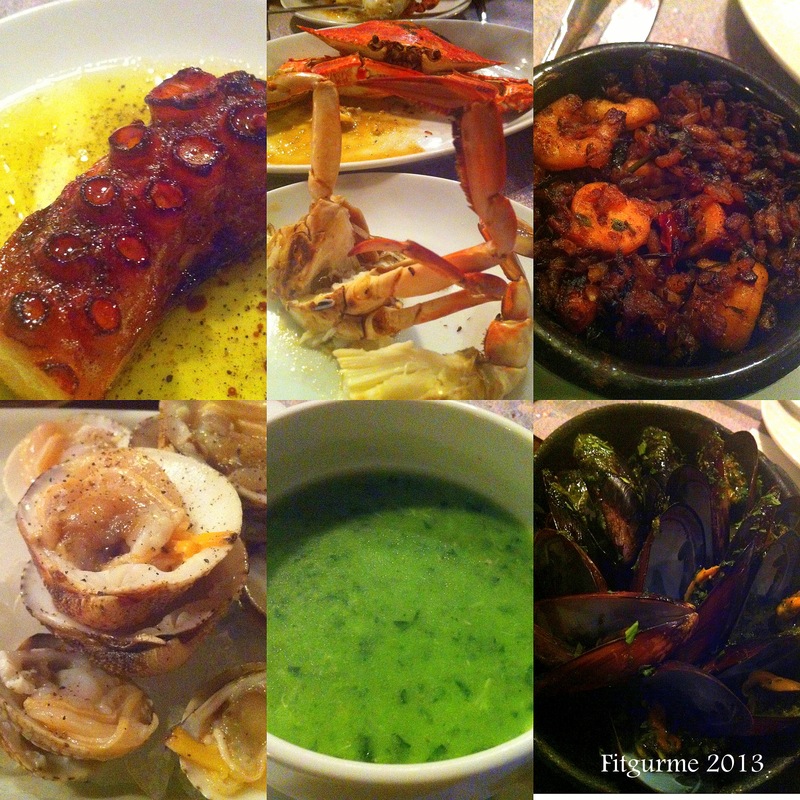 Our list for 4 days, prepared by Cenk and Hande who’s living there for sometime now, was something like this..
Posted by fitgurme in Geneva, Gourmet Side, Switzerland Discoveries, Travel, Welcome ! 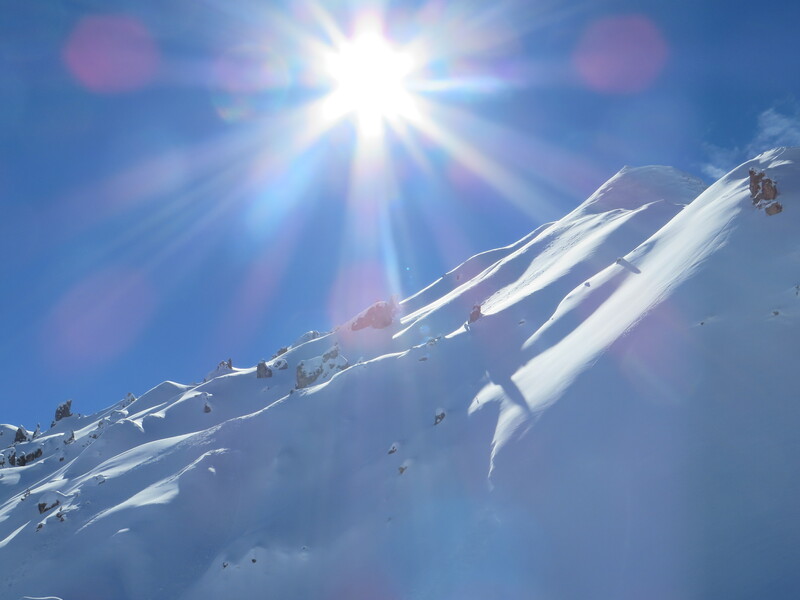 Coming from Istanbul, you can imagine that I am not that expert on skiing but I am definitely one of the experts for enjoying the ski holidays!! 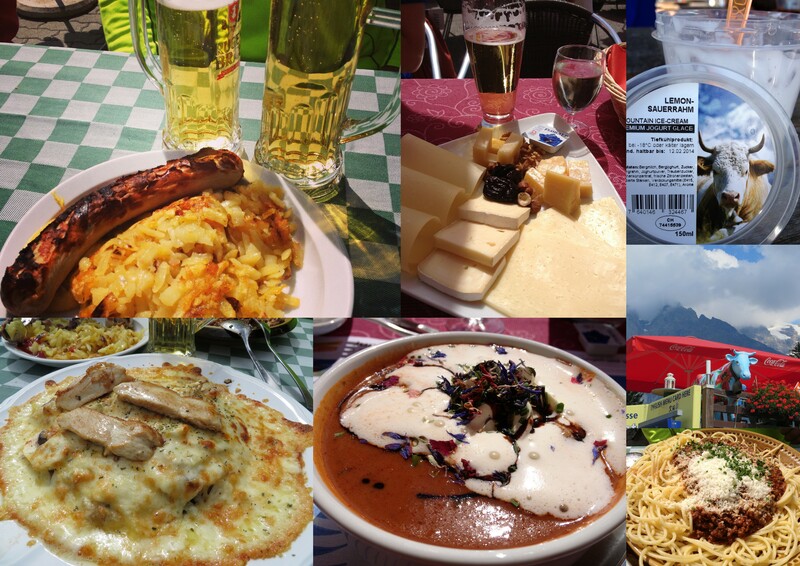 Anyone who enjoys snow,sun, fresh air, lots of delicious food, especially cheese and wine, wonderful scenery around, would enjoy it! 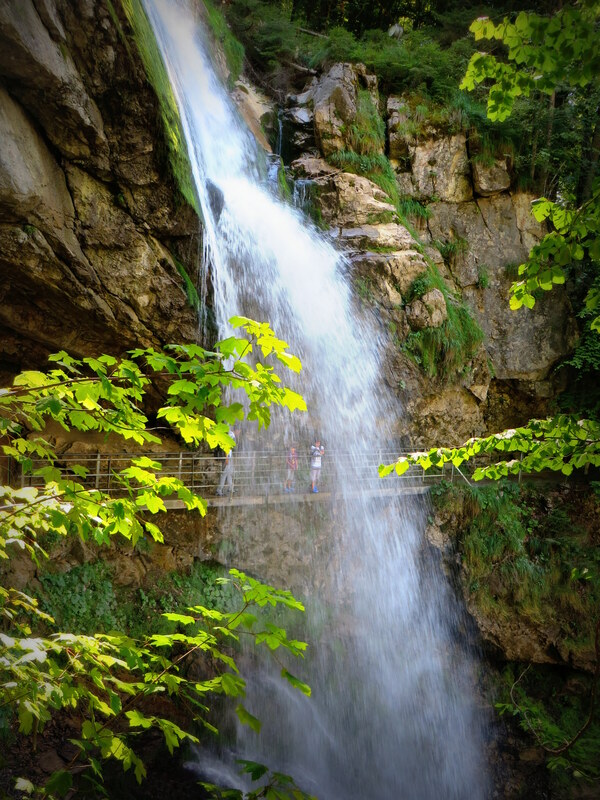 And you don’t have to ski to enjoy these as there are other options like mountain walks, hiking, snow-shoeing, etc that you can do to explore and burn the calories! One might wonder why on earth you would visit Switzerland during summer and leave the beautiful beaches in South & West of Turkey (or some other coasts around the world)! Well, after seeing Interlaken, I won’t ask this question again. 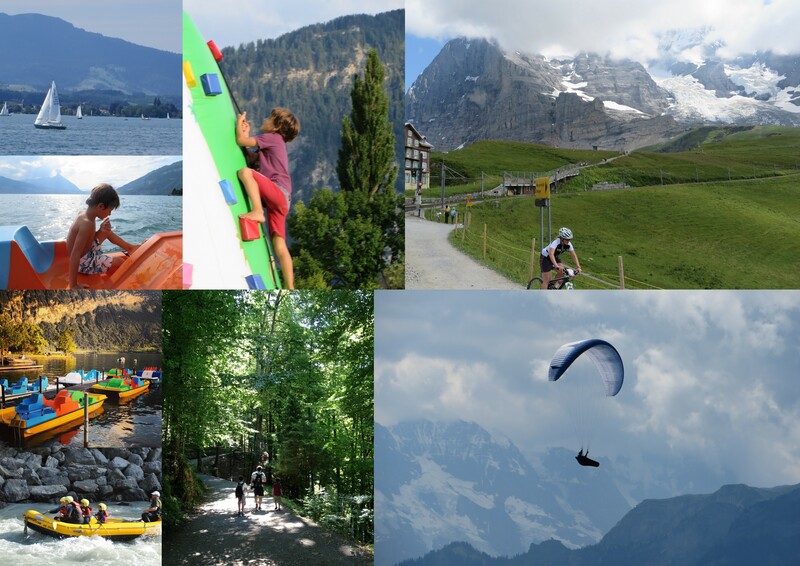 It is not possible to write about Interlaken in only one post as it deserves so much more!! 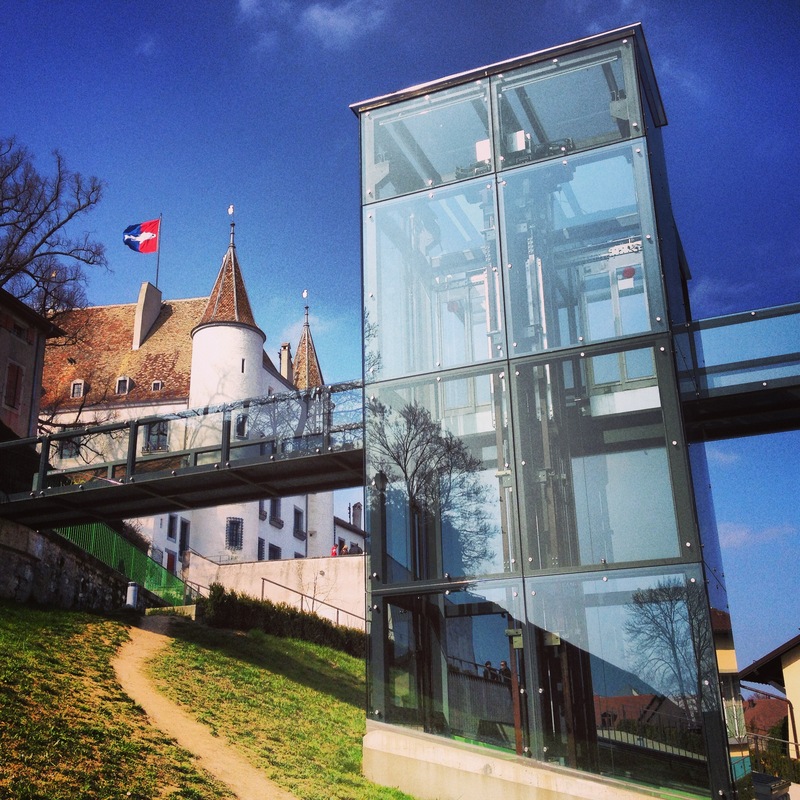 If you have ever been to this part of Switzerland, you probably know what I mean. If not, after my few posts or going around web, you can soon understand why! 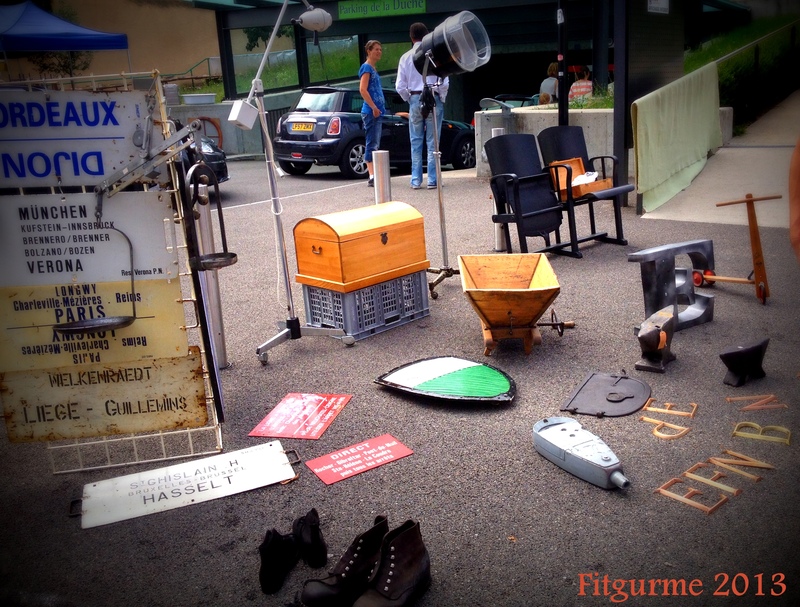 Bicycling in brocante (antique) market, 2 hours in Nyon! 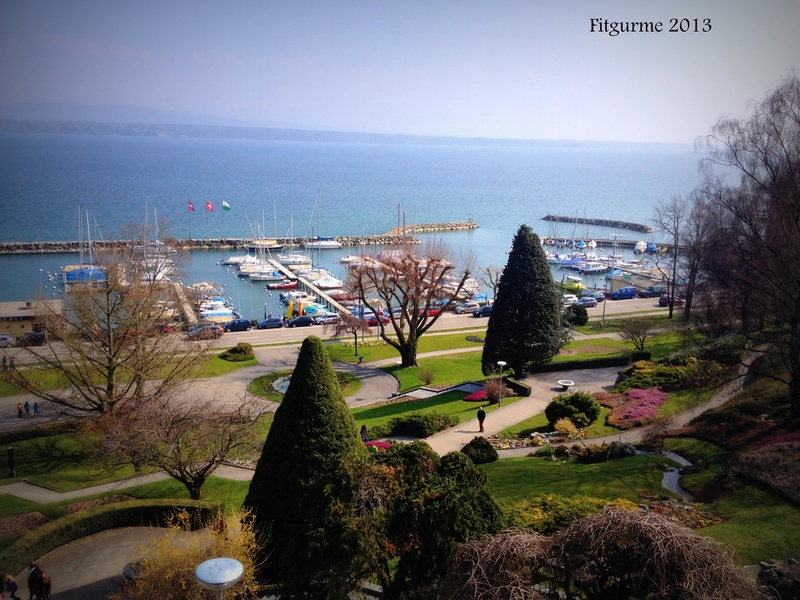 We love Nyon, a small, quiet, lake side town next to Geneva. 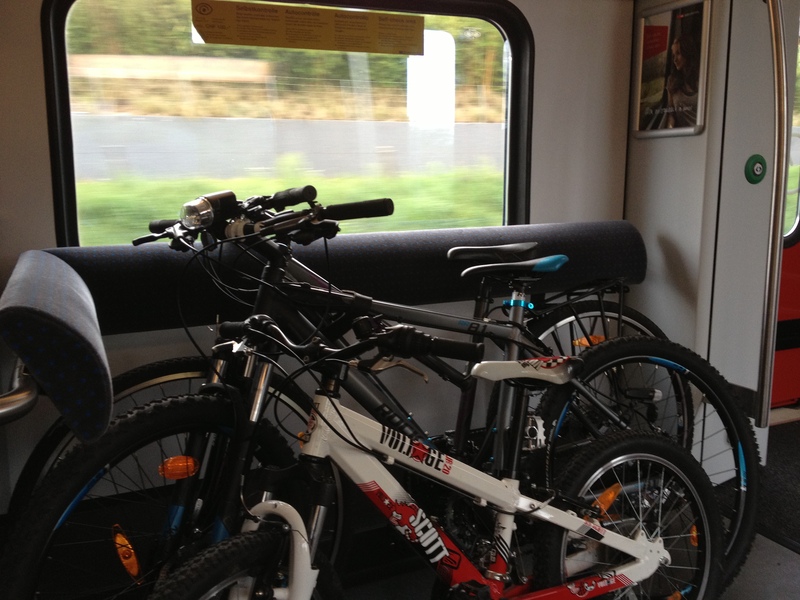 On Sunday we decided to take the train with our bicycles and enjoy the Sunday even though the weather was weird and unpredicatable -as usual in Lake Geneva! 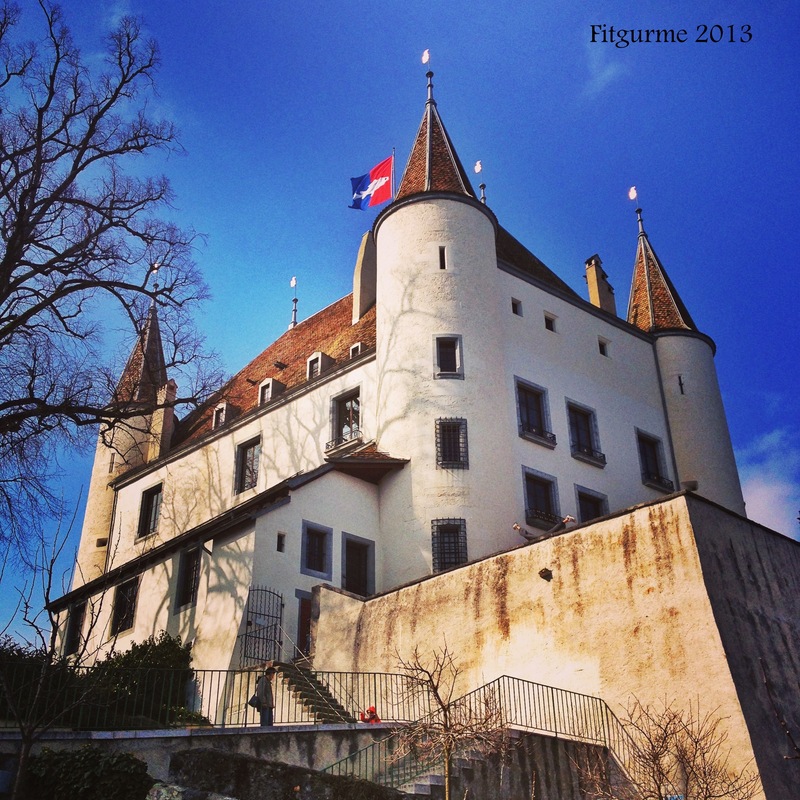 We’ve visited Nyon a few times and each time we love the quiet and peaceful streets, the view, rooftops, the castle and the park.. 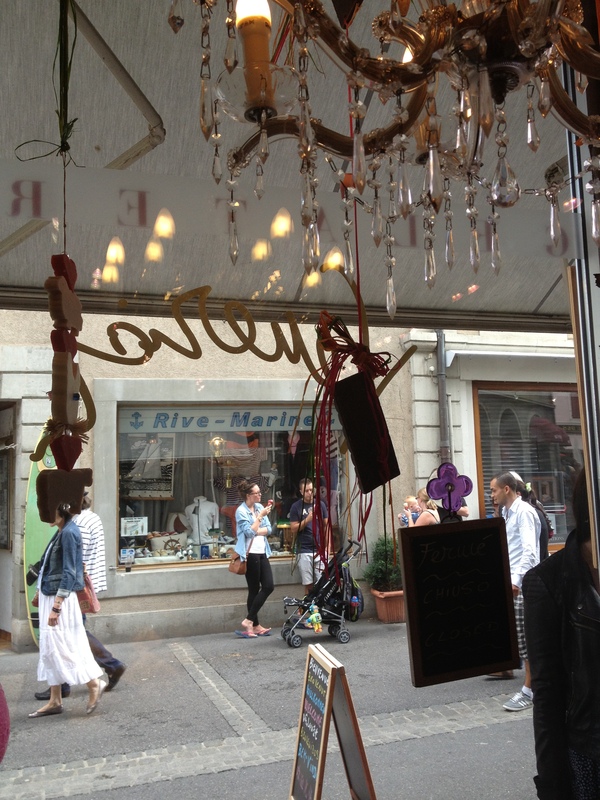 When Geneva is quiet and lonely on Sundays, Nyon is always packed with people, lively and looks very “social” with the shops and restaurants open around!! 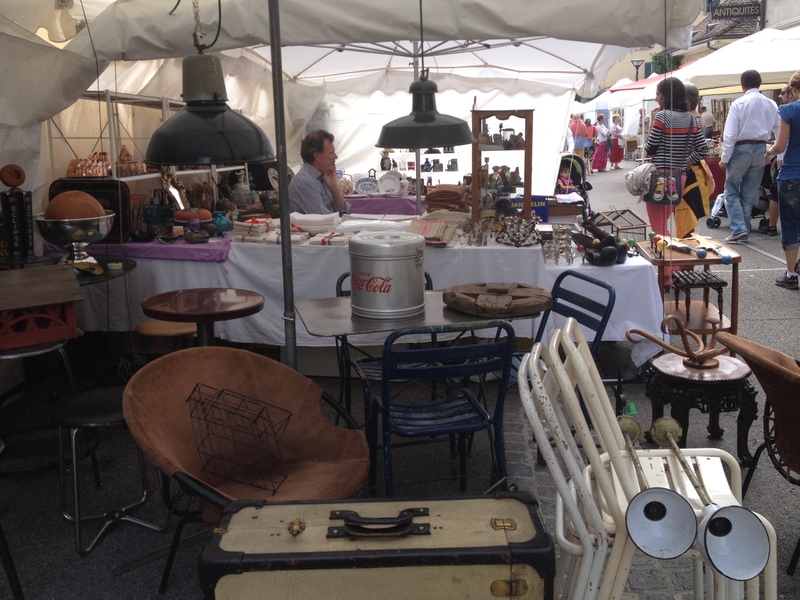 And this time we had another nice suprise, “Brocante” the Antique or second-hand market/bazaar, I think the same market as Rive (Brocante de Rive). 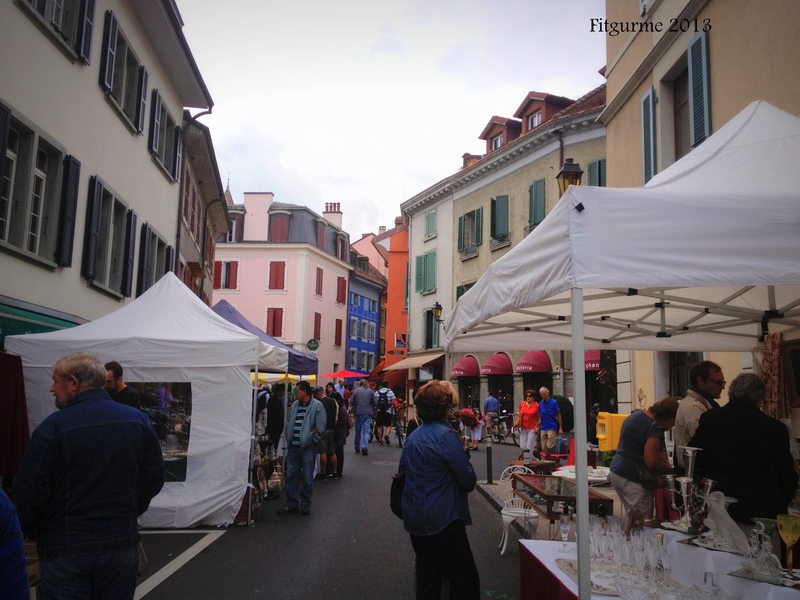 I heard that every last Sunday of the month, you can visit this market in Nyon. 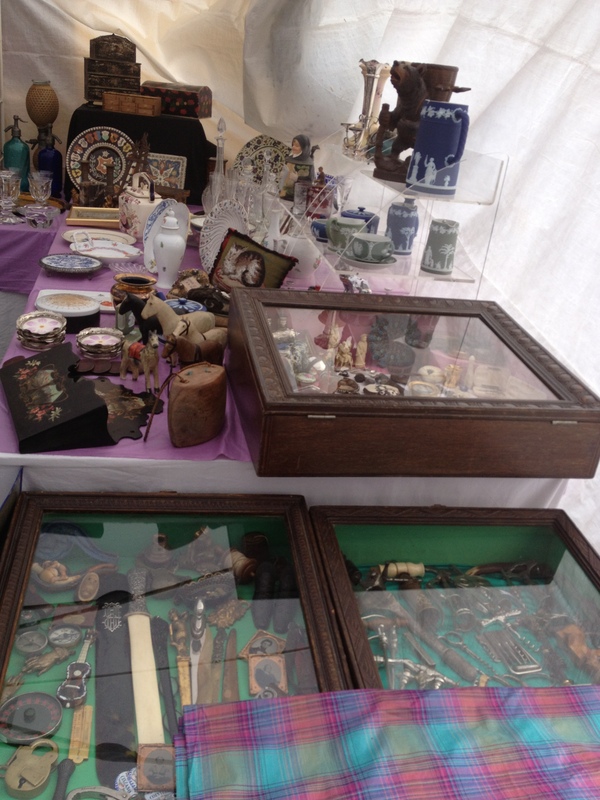 I think one of the signs of getting old is that you appreciate and get interested in old things!!! 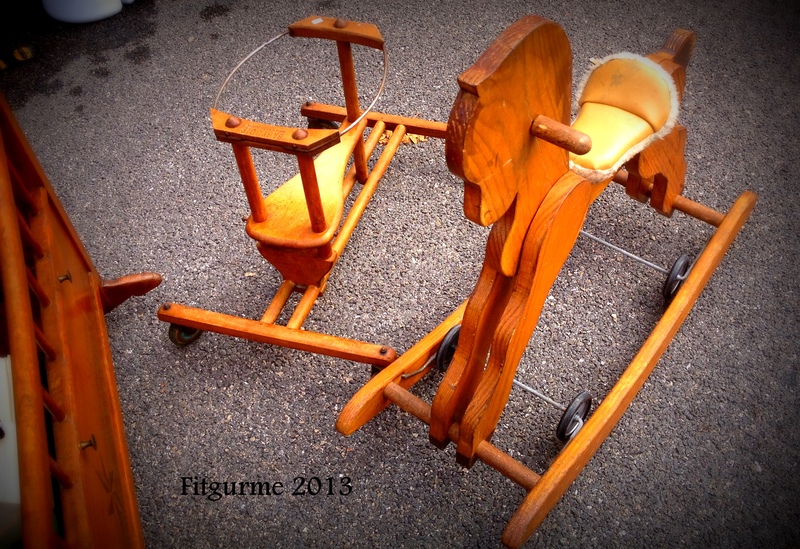 I hated antique or anything second-hand but now passing the 40 years this summer, I think my time has come. 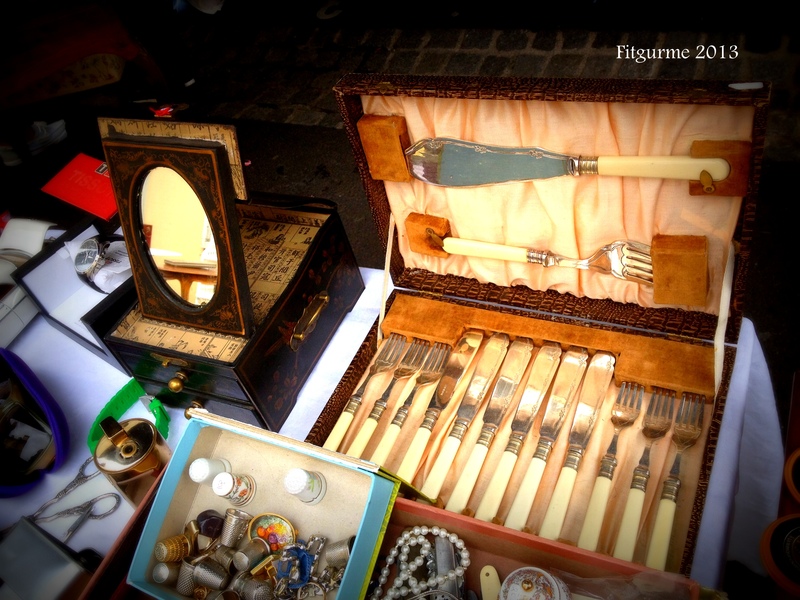 I loved many details in the market and could have bought a lot if I was alone (and not with kids around me) and not came with bicycle!!! 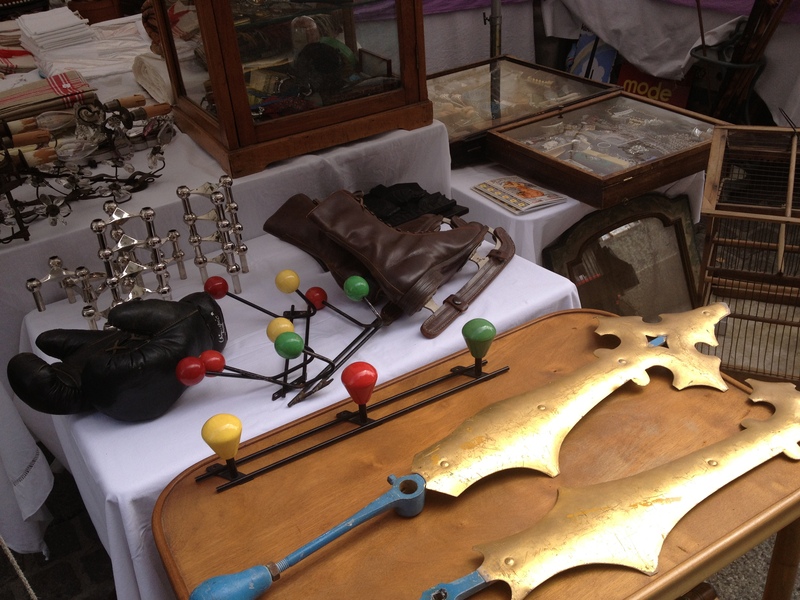 All the streets are invaded with stalls, with so many different things…Like these boots ! 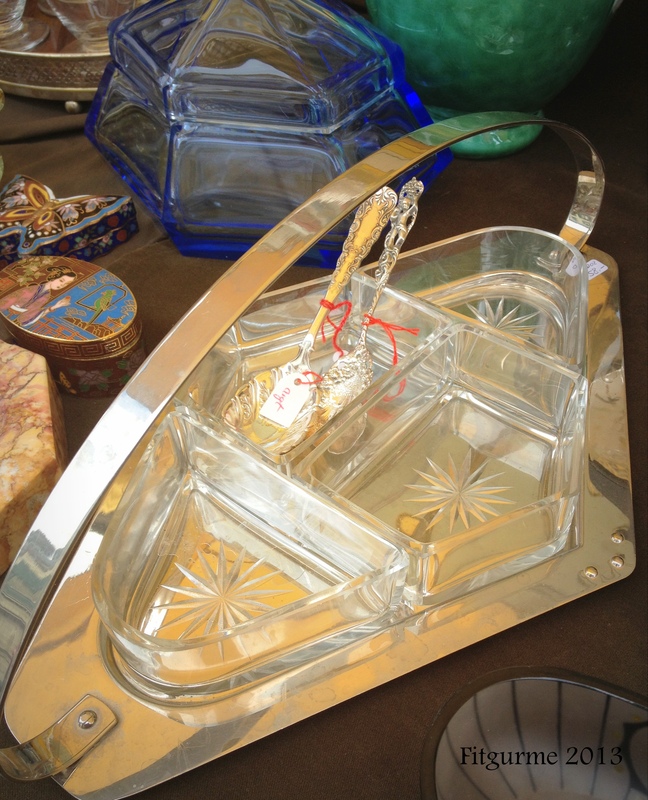 and of course the old stereo..
and this for placing my Turkish Meze?! 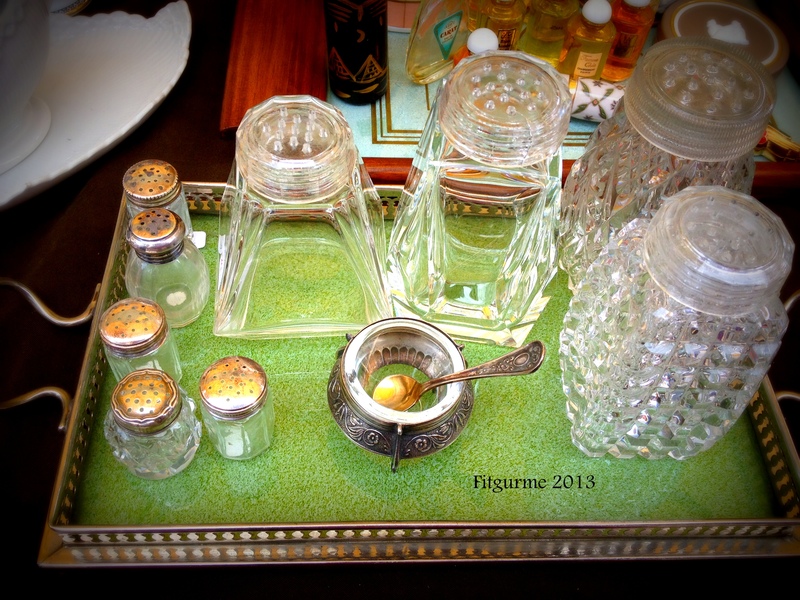 how about these for salt-pepper and different spices on a lovely tray? 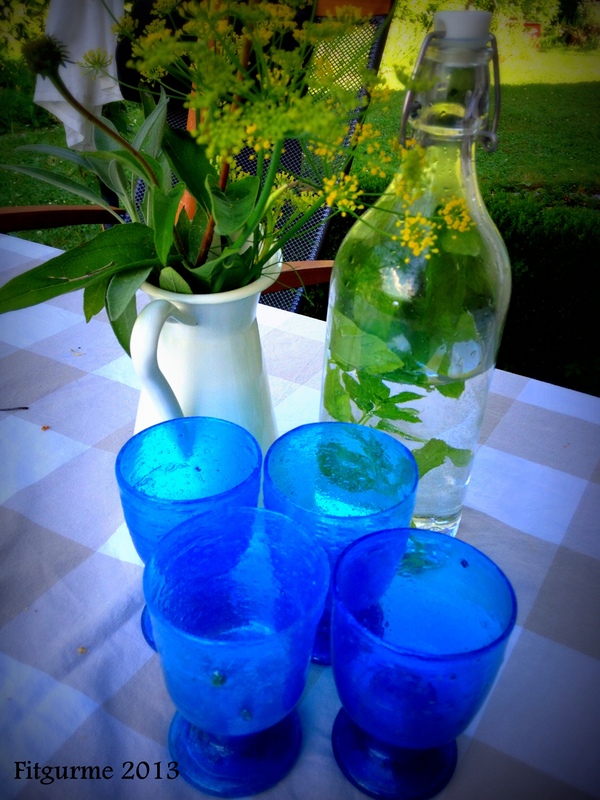 And these colorful bottles for drinks.. 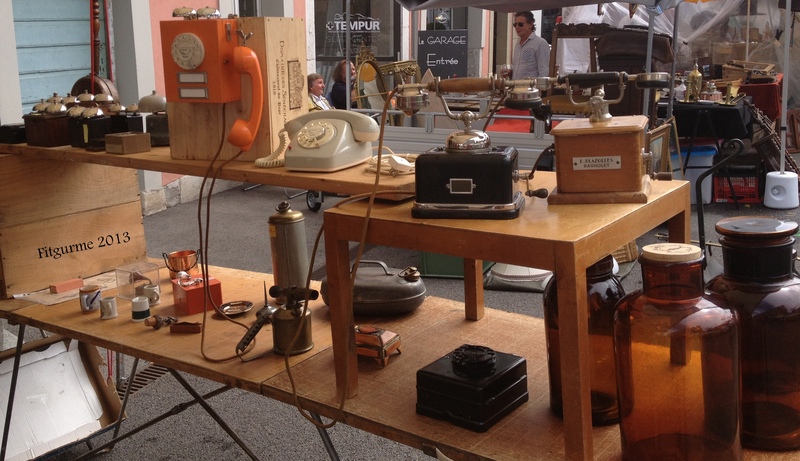 I am not an expert in these markets but is 80chf a good price for them?? 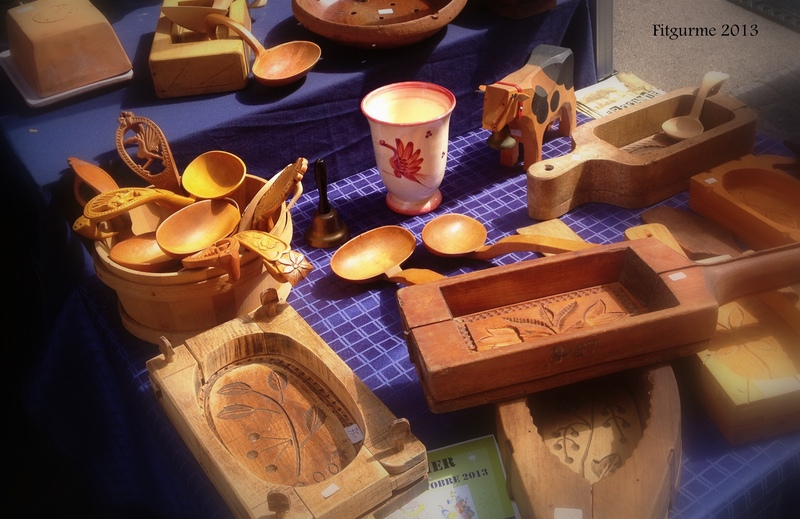 And loved these wooden spoons..
And I actually have seen those just last week at someone’s house, someone I adore and love so much! 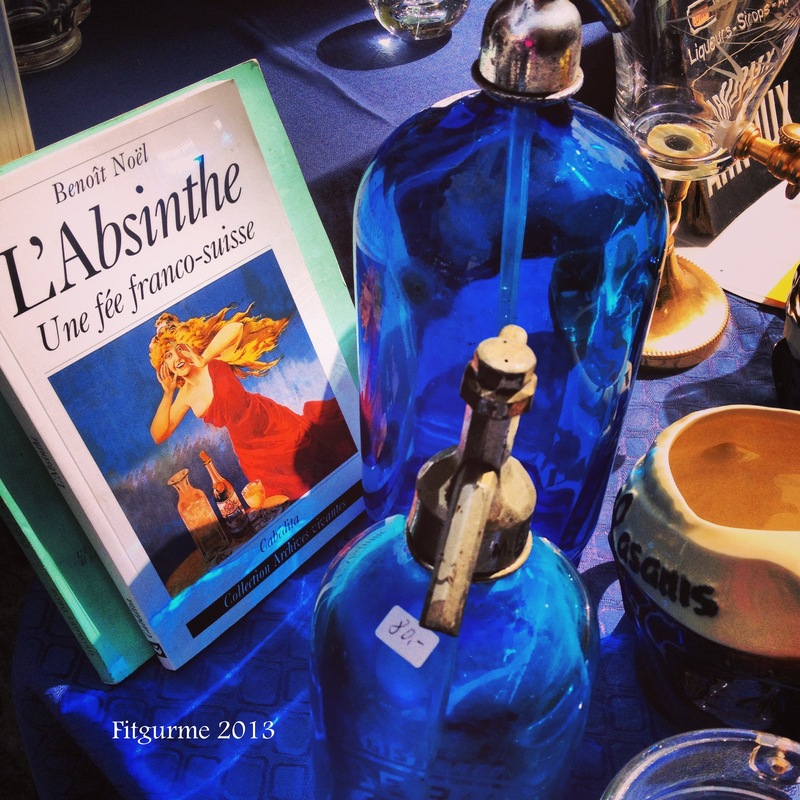 She is a great fan of these markets and has lots of wonderful things she bought from there, like these glasses..
She says the secret is to go there without a target and look around for everything and visit every week and maybe twice a week if you can to finally find the piece you’d love! 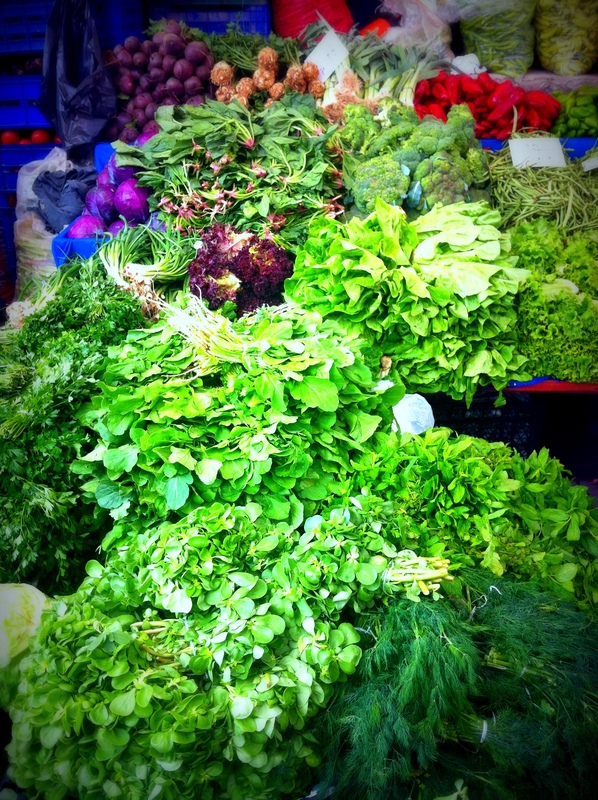 As there are some weird stalls that distracts you like these..
or things that are all against vegeterians!! 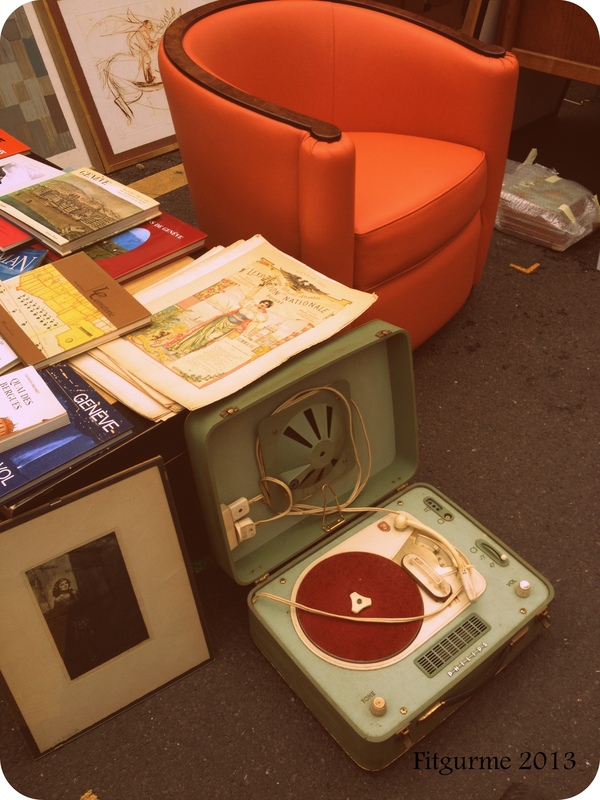 cool lamps, chairs, coke bin..
Old telephones, a real nostalgia! 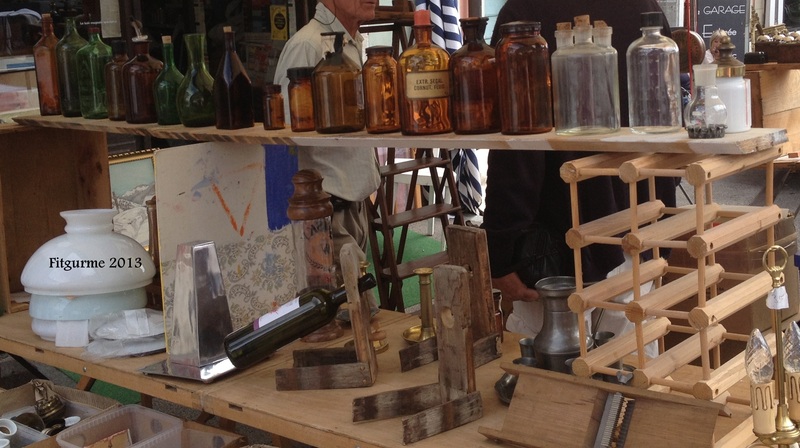 any size color bottles for collectors..
and some Mickey Mouse nostalgia.. 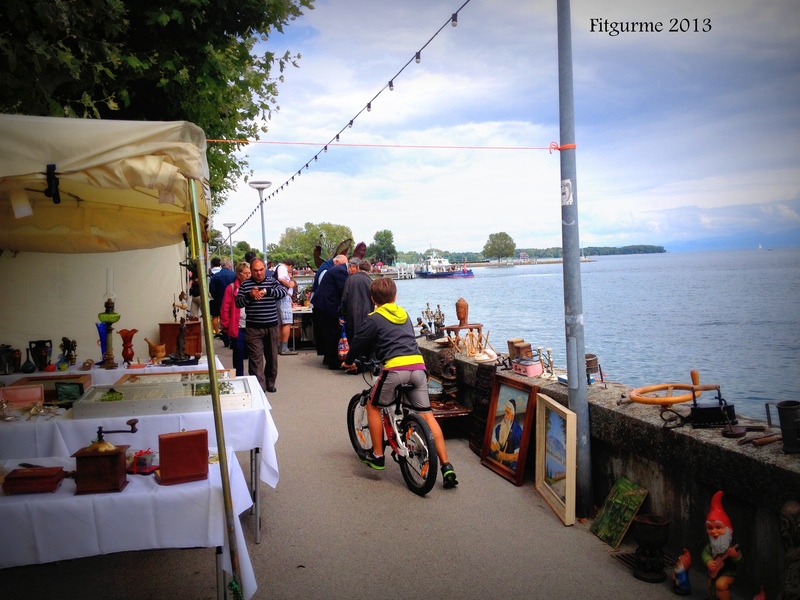 There were some stalls near the lake side and we actually rided bicycle along them! 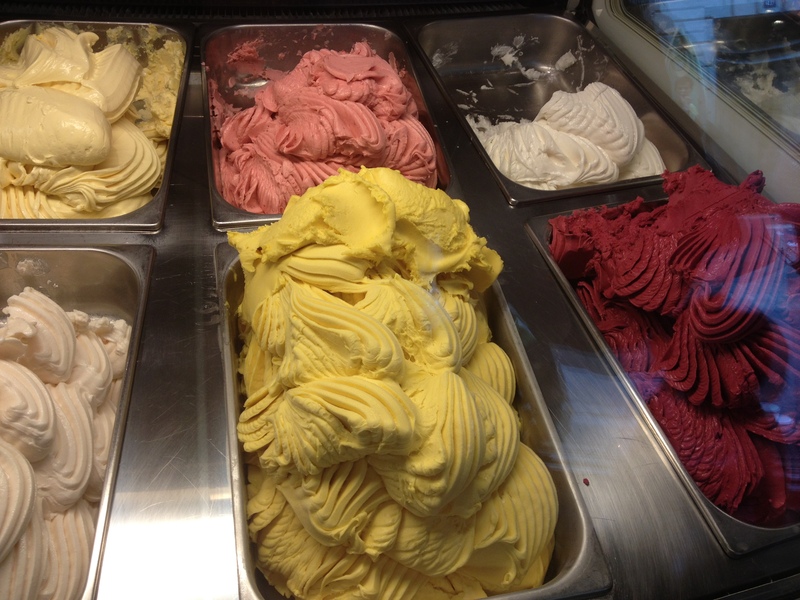 And this is the way to our favorite ice cream place, Galeteria Venetzia… might be the best in lake Geneva! They even have a diet version, bitter chocolate without sugar and it is sooo delicious! 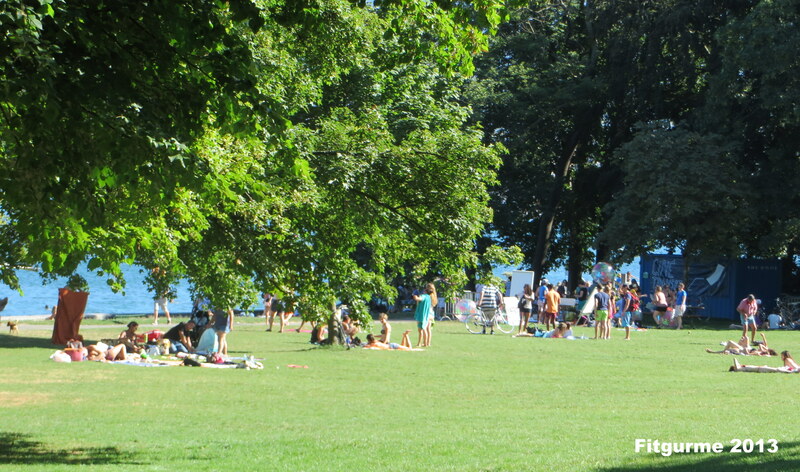 and this is how it looks like from the inside waiting for your turn..
And you can finish your day relaxing in the park next to lake..
as the kids enjoy some Harry Potter trees around! 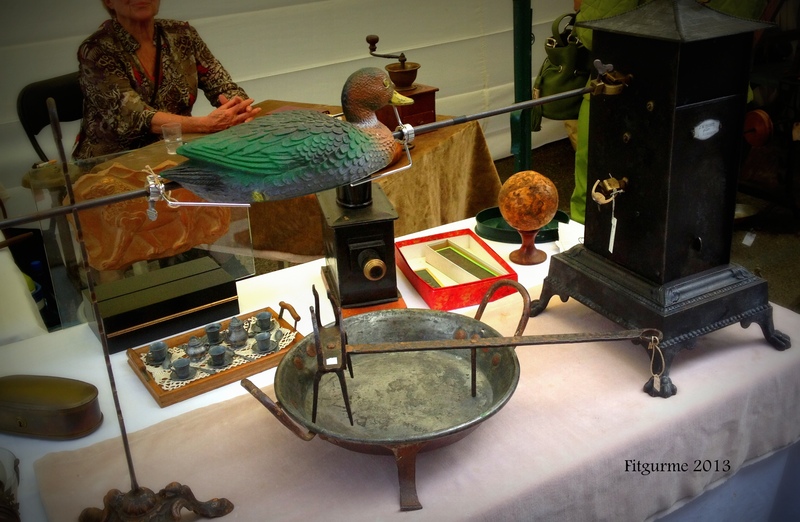 If you are interested in markets like these, there will be another one in Chateau de L’Isle in Morges. We might meet there as I will go with a shopping bag this time! 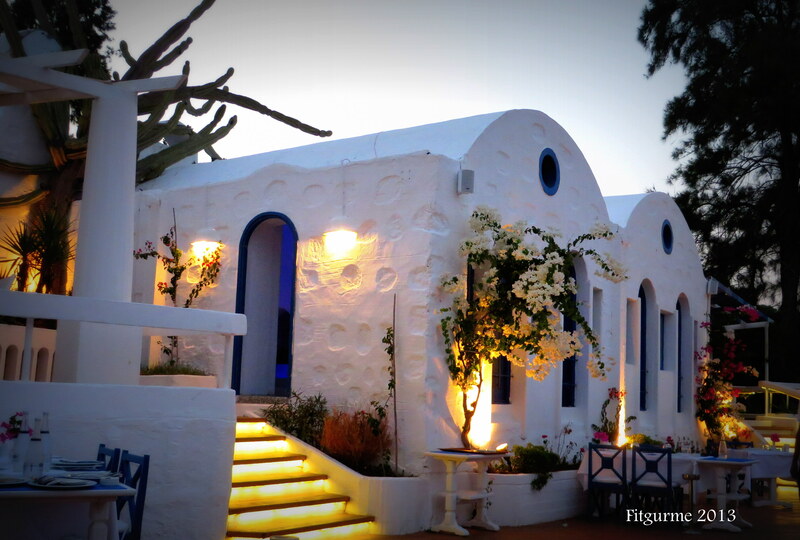 Posted by fitgurme in Bodrum, Gourmet Side, Travel, Welcome ! 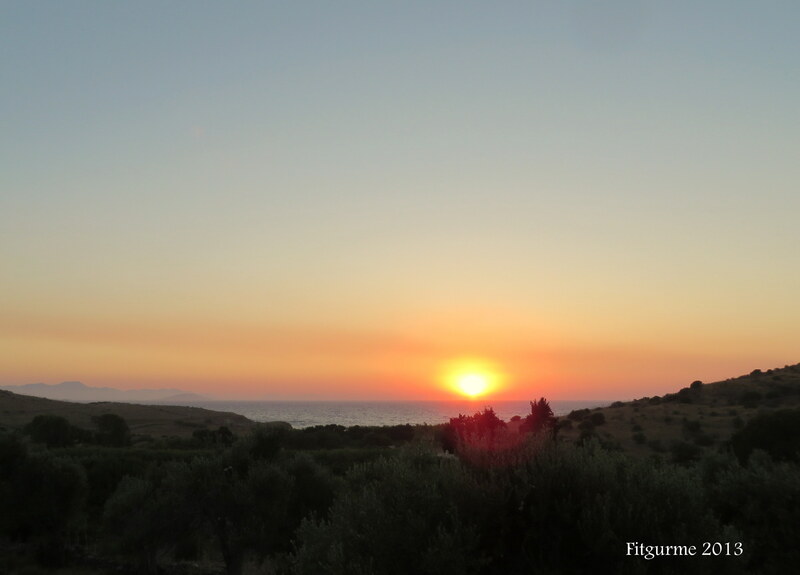 Summer is coming to end with memories of the holiday! 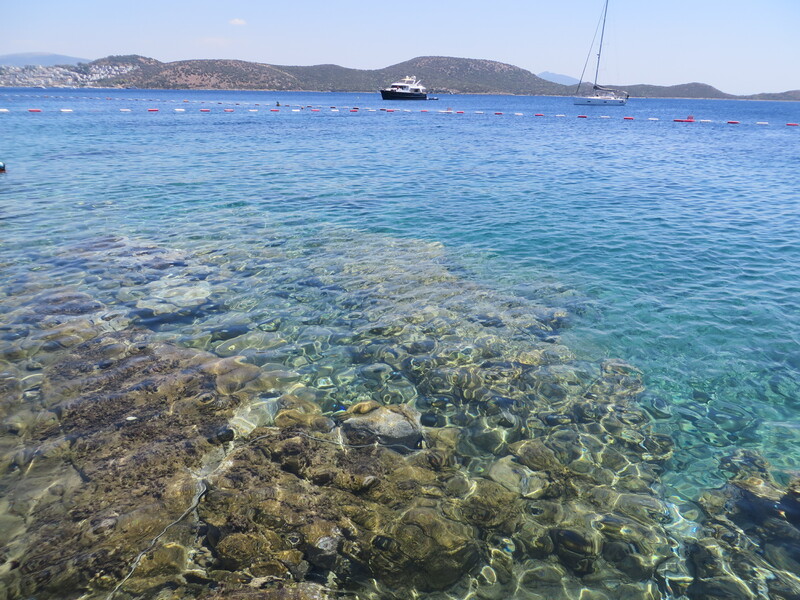 If you are one of those lucky ones who are about to go another holiday or maybe taking the vacation in September (which is actually the best time for Mediterranian or Egean cost), here are some tips for you in Bodrum. 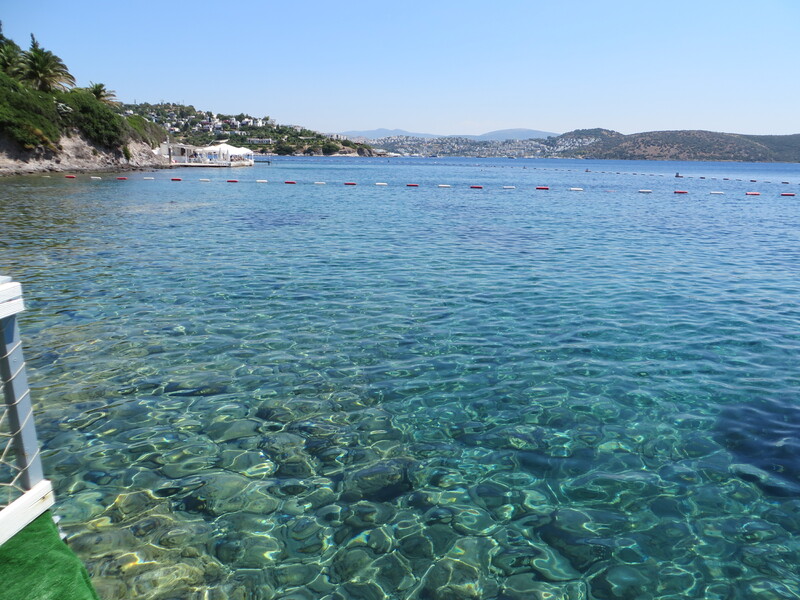 Bodrum is a strange place as it is very big with many bays and alternatives for all budgets. 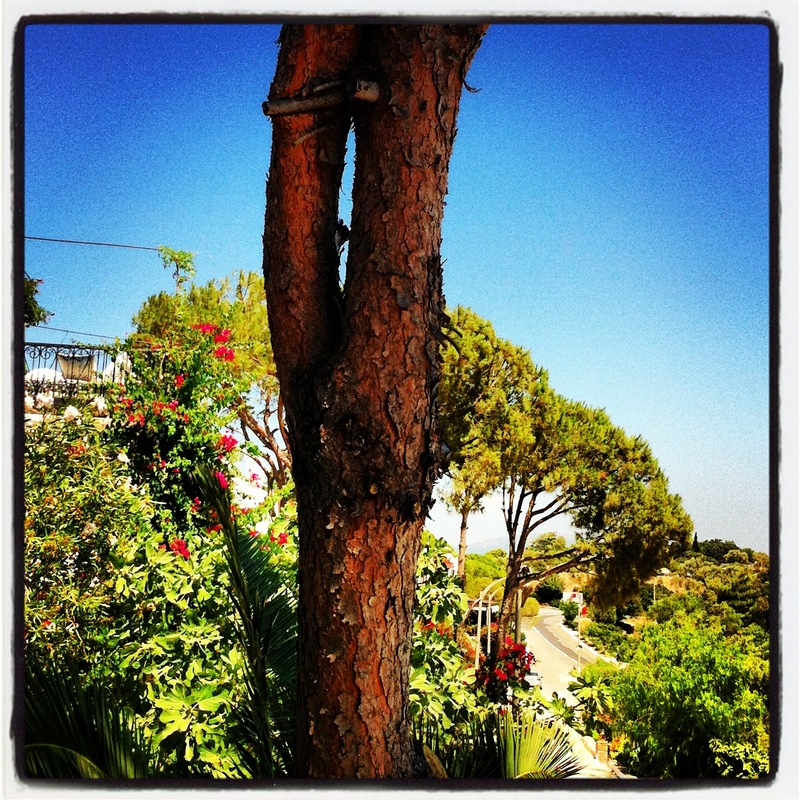 So you can end up in Gümbet and have a horrible holiday (to me!) 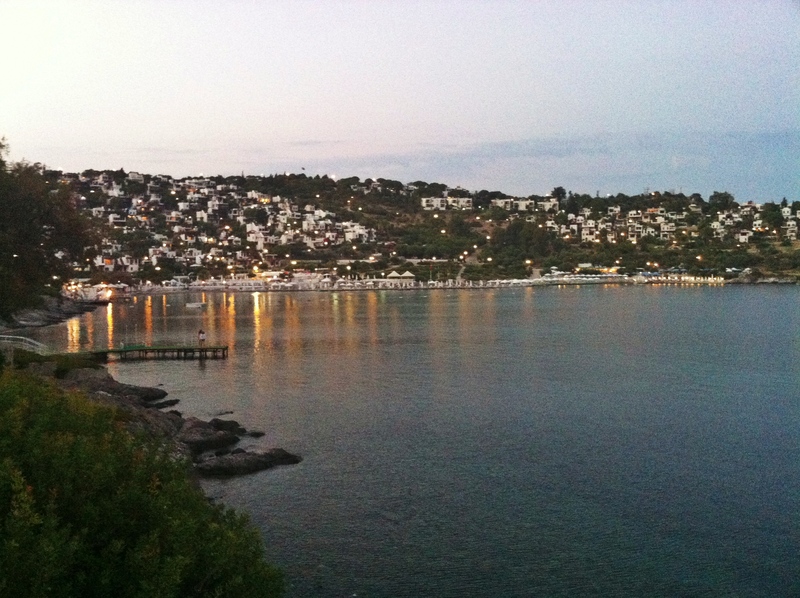 or a bay like Türkbükü noisy and overcrowded with restaurants and clubs around (still much better than Gümbet though)! 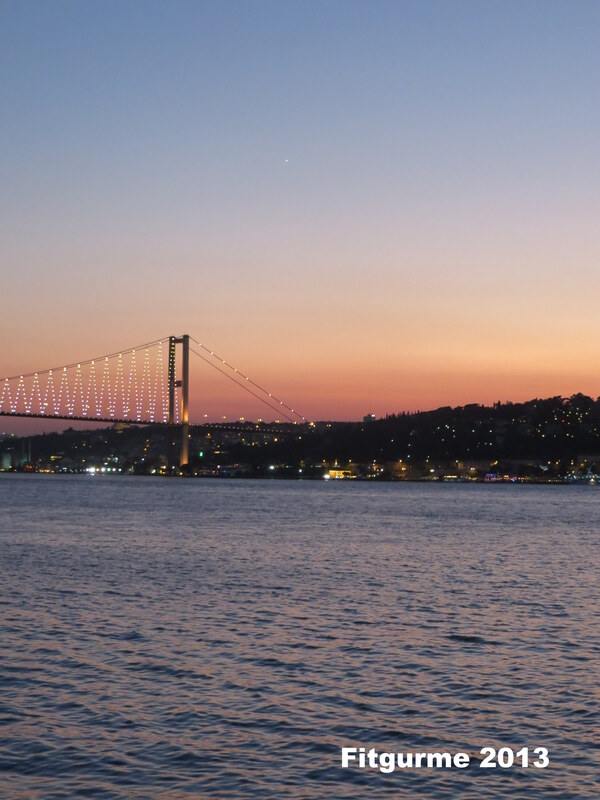 Our favorite bays are Bitez, Aktur, Ortakent and Yalıçiftlik. This year we rented a place in Aktur and again fell in love with this town, against all the degeneration happenning in recent years. 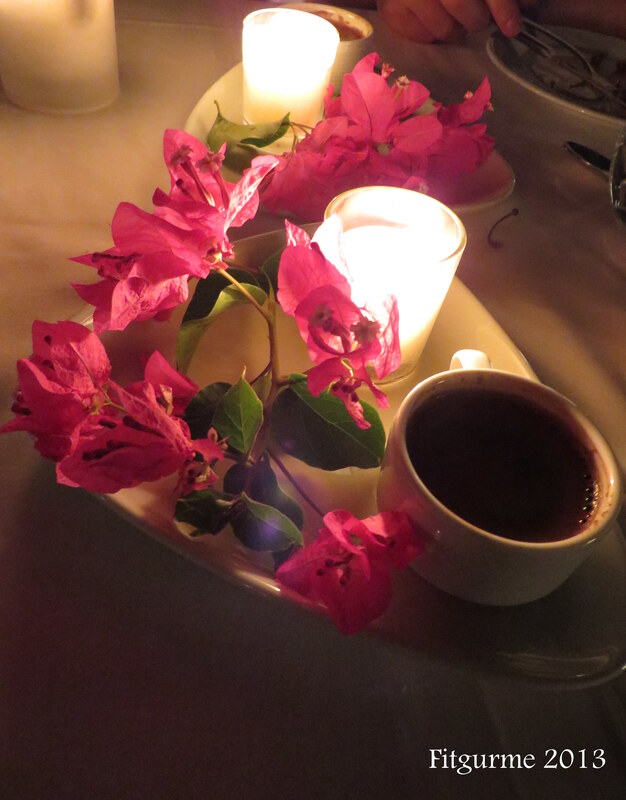 Here is how you can enjoy as we did in Bodrum, without having to fall into touristic traps..
You must enjoy a dinner in one of the restaurants out of the city center, like Aktur Mey, for great view and nice sea food, very quiet and calm..
and order a Turkish coffee at the end, served like this! 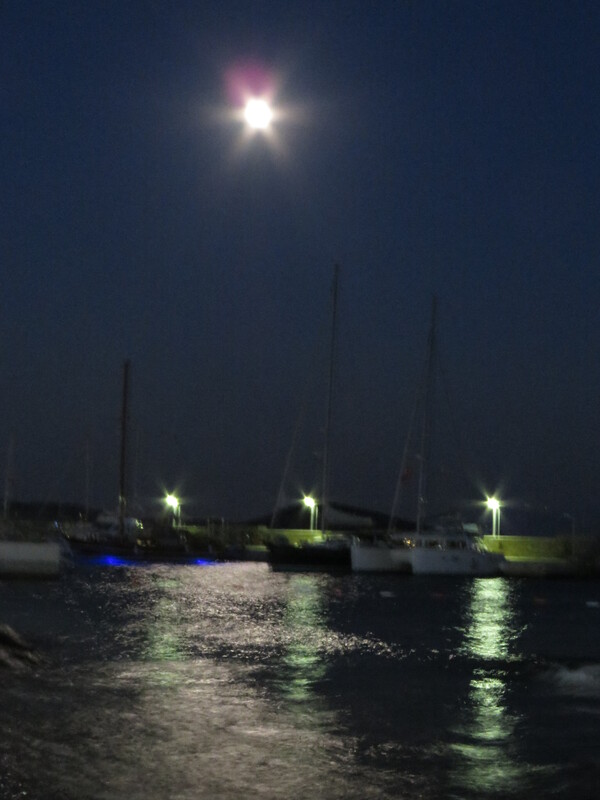 Enjoy the moon light over the bay as you taste many different meze and fish and raki of course! 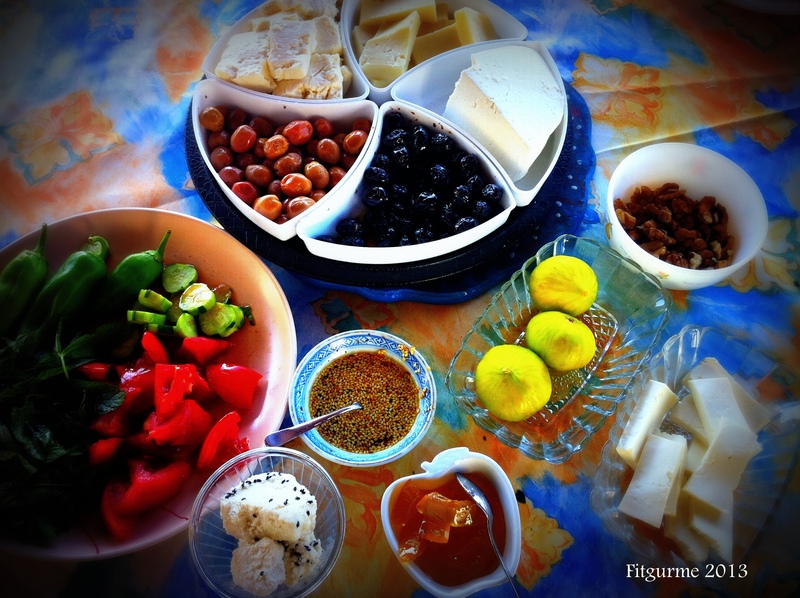 as you sip your satsuma coctail..
and then you taste these delicious mezes..
You can try one day to have breakfast in one of these restaurants to taste the delicious Turkish figs, jams, local cheese and herbs, salads..and most importantly, I think the best tomatoes on earth! I was privilaged to have this table every morning prepared by mother-in-law! You can visit one of many markets in Bodrum, not only the famous Yalikavak market but also some small ones like Bitez or Ortakent..
You can find more pictures of markets from one of my previous posts here..
And sometimes just do nothing or try reading a book under these pine trees if cicadas let you with their loud but summer-sound around! 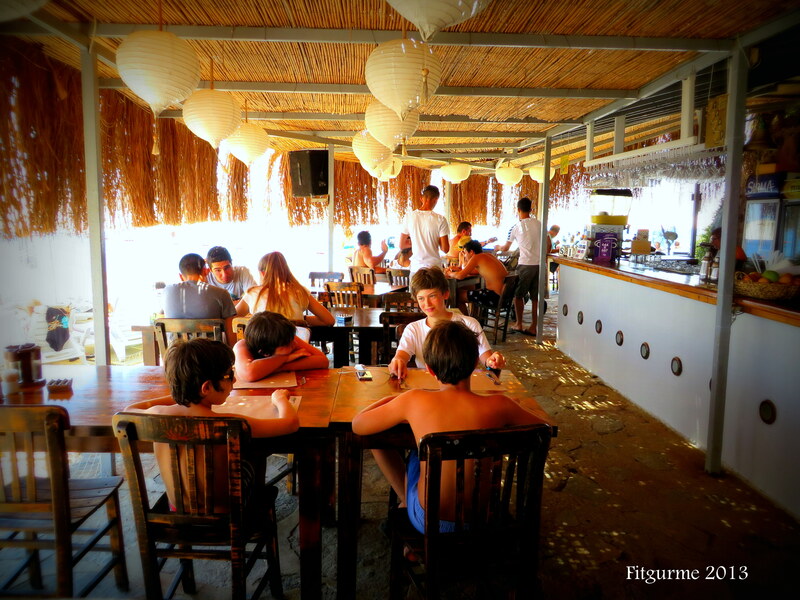 Try some of the best beaches in the region like Aktur, Bitez, Ortakent, Yalıçiftlik or Hebil.. 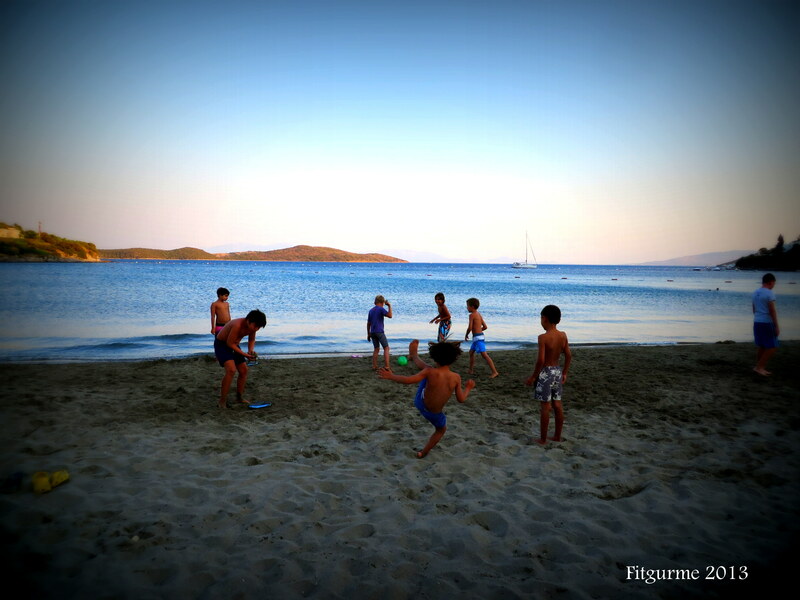 These boys were lucky to play football when everyone else leaves the beach around evening before the dinner time! To me it is the best in World as it has the right color-temperature (a bit cool) and surrounding (mountains and pine trees!). 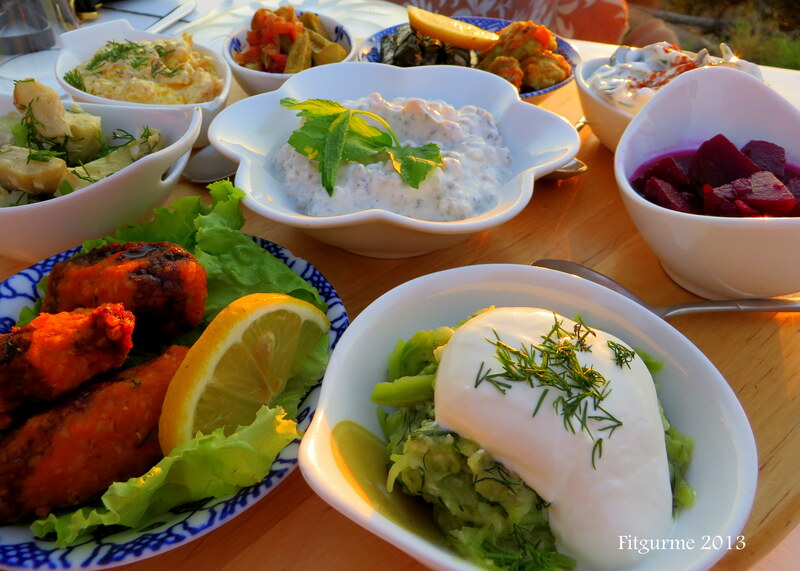 Swim a lot as you will be eating and enjoying the delicious Turkish cuisine! 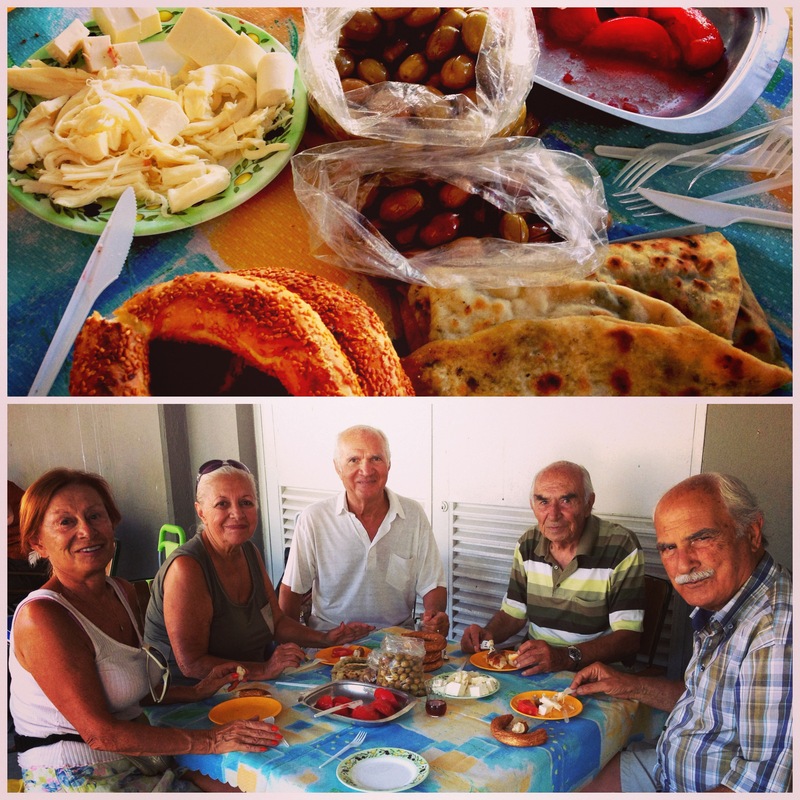 Enjoy a typical Turkish lunch at İnceburun, musakka-cacık-gözleme-vegetables with olive oil- çoban salata-melon ! 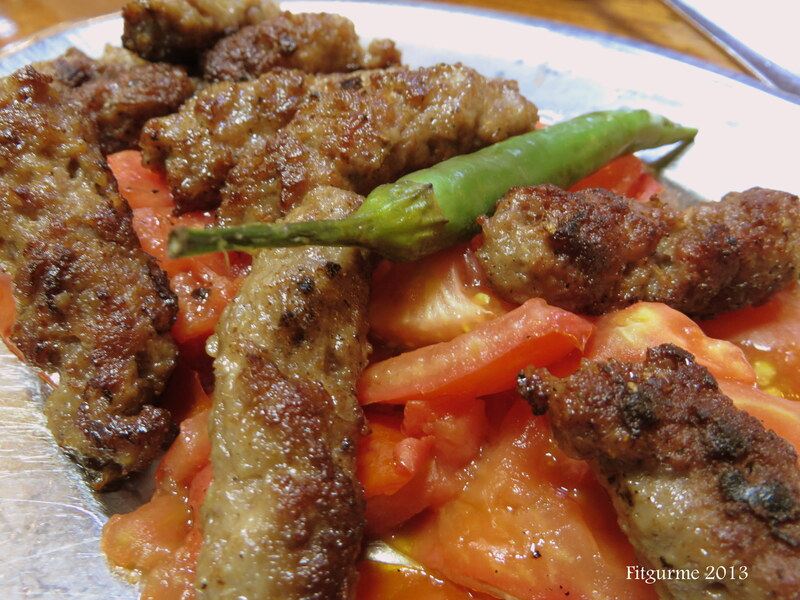 Try the mussels filled with spicy pilav rice but hopefully find a trusted place like ours in Aktur! 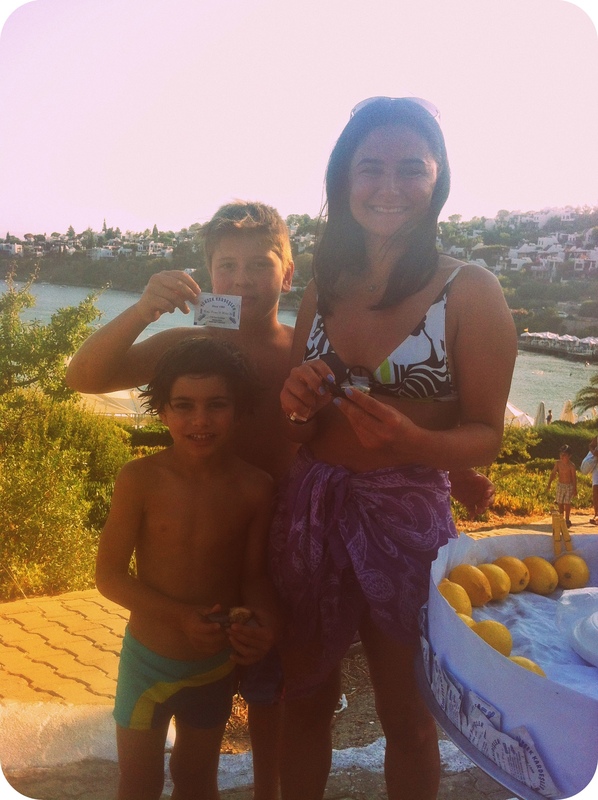 Me and my son enjoyed it one afternoon as a biiig snack (the taller boy is trying to advertise the mussel seller with the paper in his hand, not very successful) !! 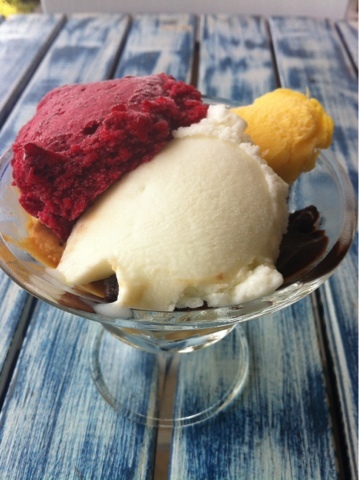 And eat some ice cream of course, my favorite, Bitez Dondurmacısı, try the satsuma and mastic for some local taste.. 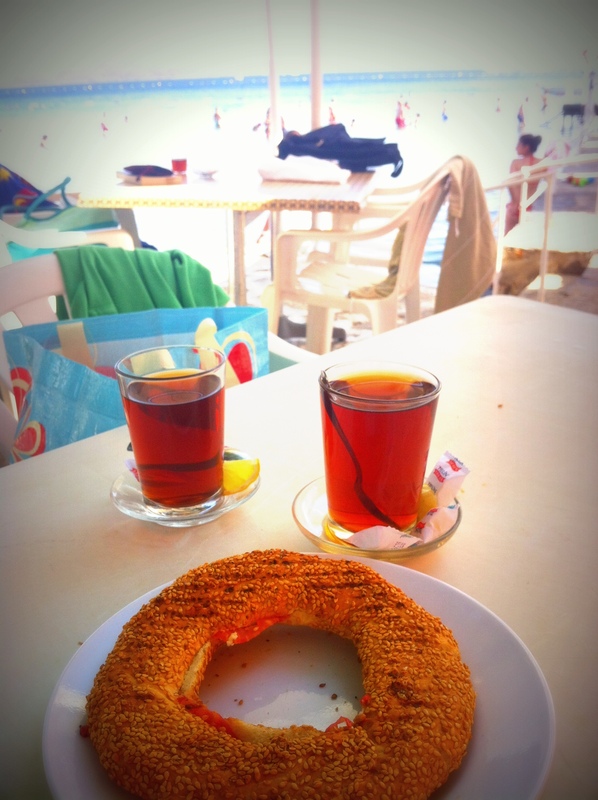 Finally not forget to drink some Turkish tea and eat the Turkish bagel, Simit…preferably warmed and filled with cheese and tomatoes! 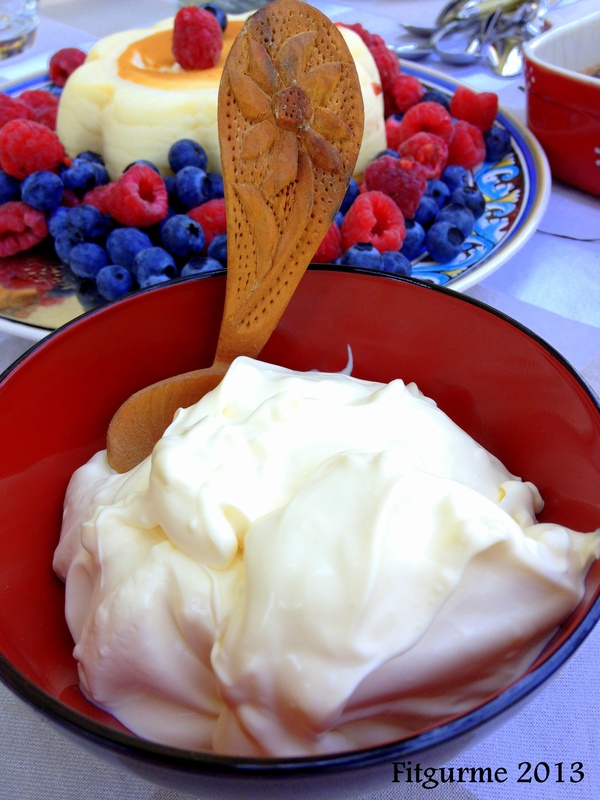 So, be prepared to gain some weight unless you swim enough to compansate all these calories! I can assure you that it is worth gaining!! 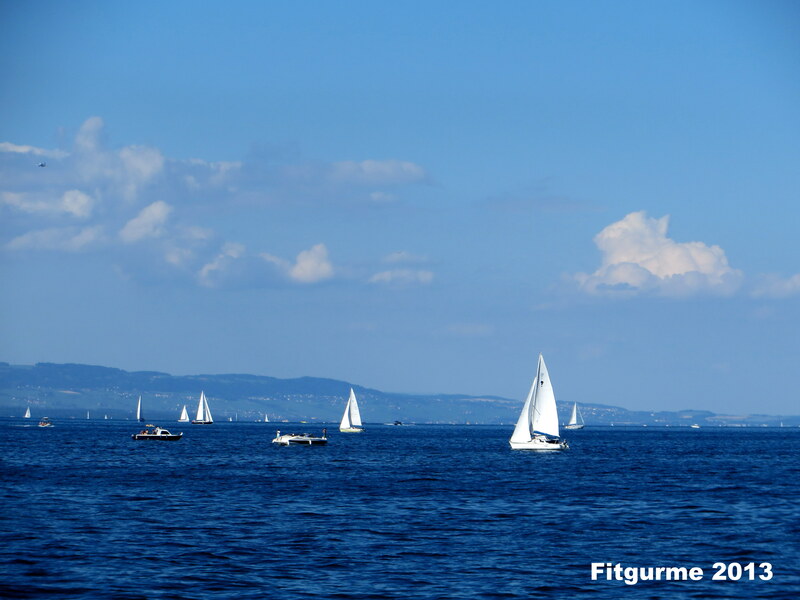 A holiday in Switzerland is always full of sports, however you wish it to be, in a casual or serious way! 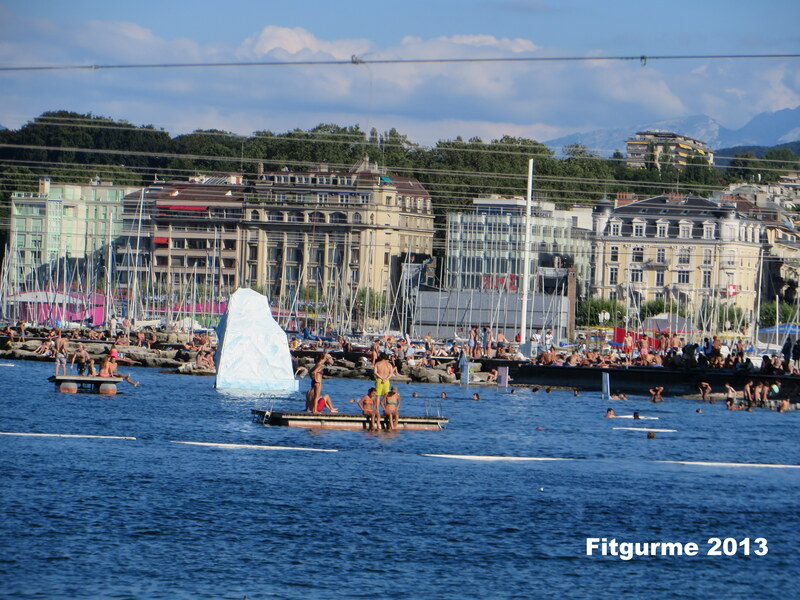 A great way to burn the calories that you get from the Swiss specialities like cheese, chocolate and others! 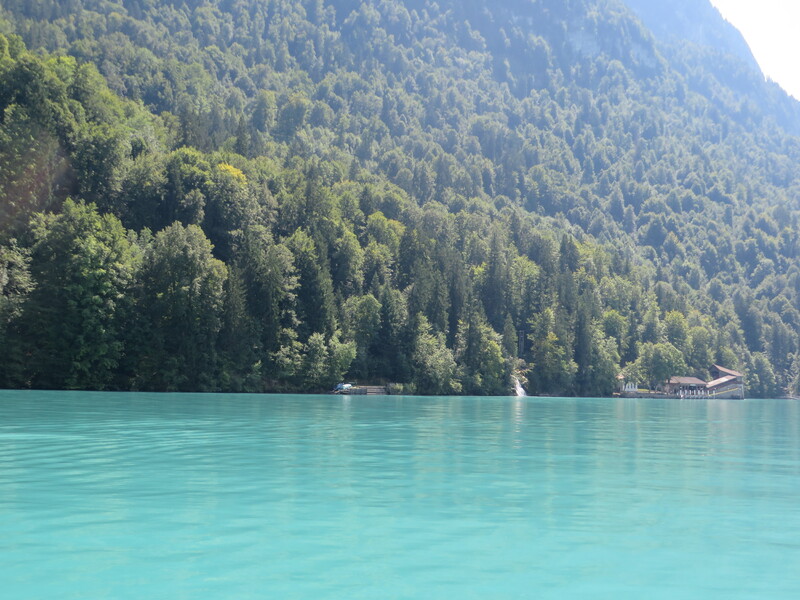 Interlaken is one of the best of this country, I will write definately more about this! 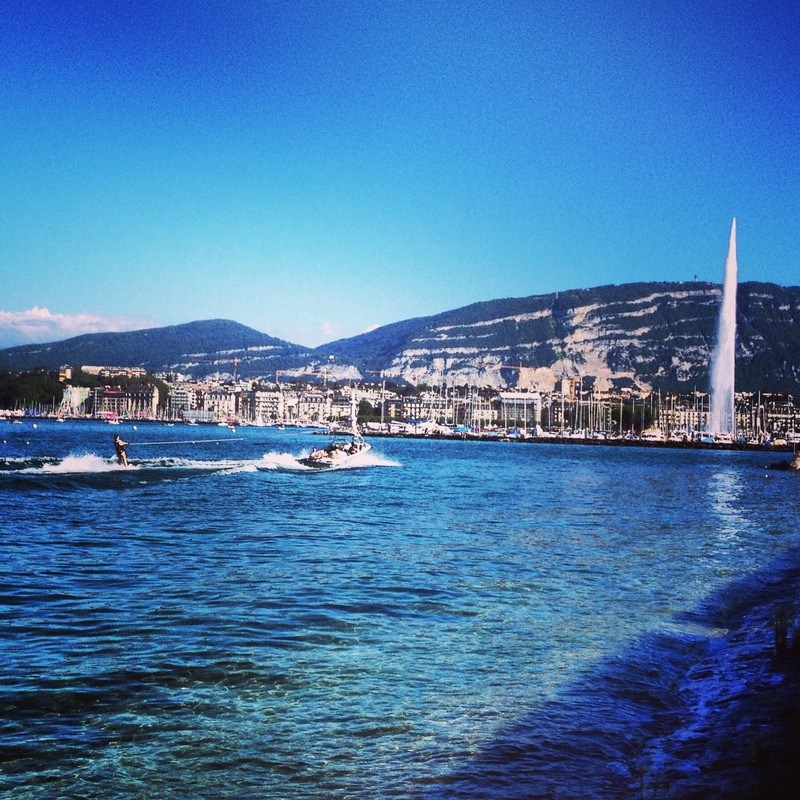 Summer side of Geneva, love you! 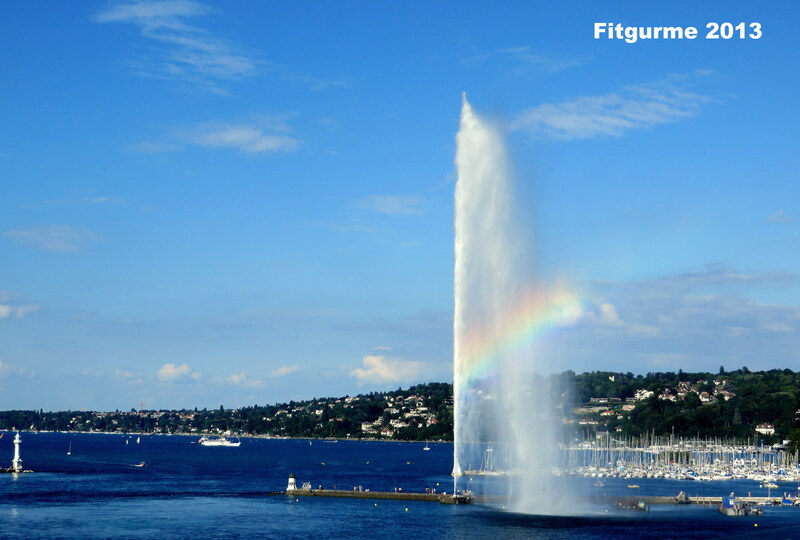 Posted by fitgurme in Geneva, Switzerland Discoveries, Travel, Welcome ! 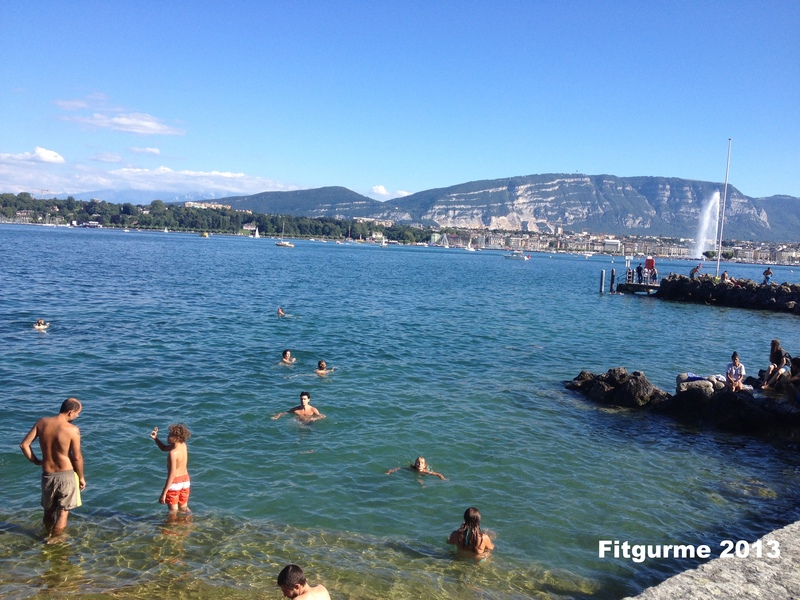 You might already know that Geneva is a small, compact city, half invaded by expats-foreigners like us! 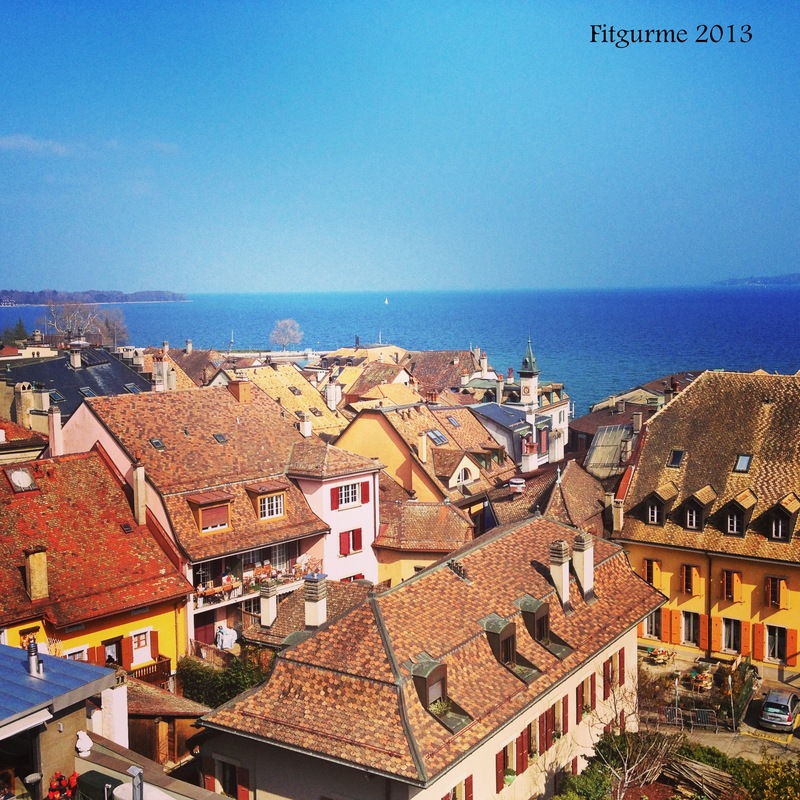 It is not a typical Swiss city and can not keep that “proper-clean-tidy Swiss” property due this 50% living in it. 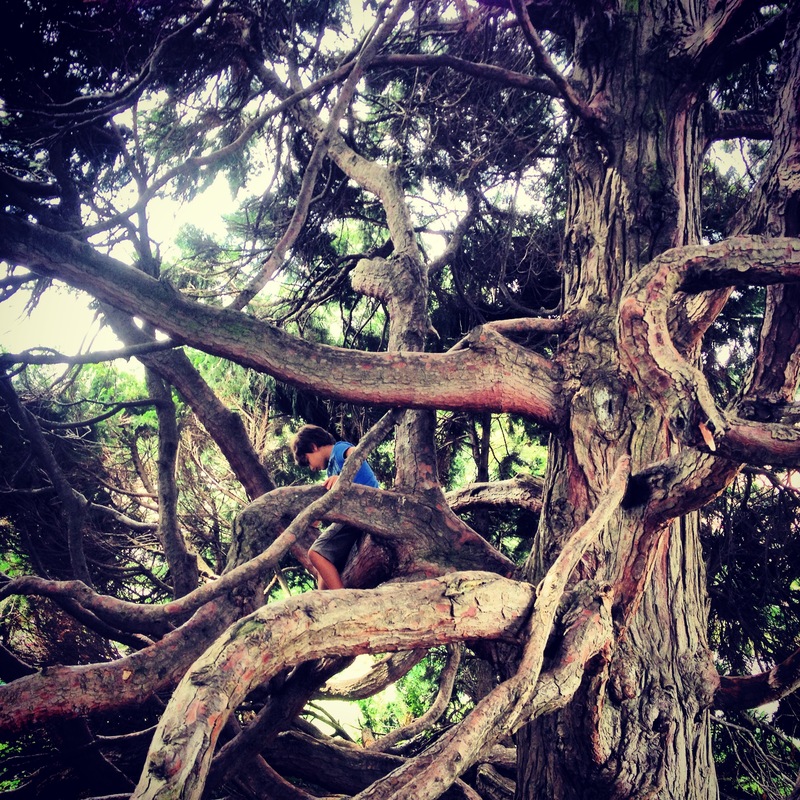 For some, it can be boring with not enough outing opportunities. 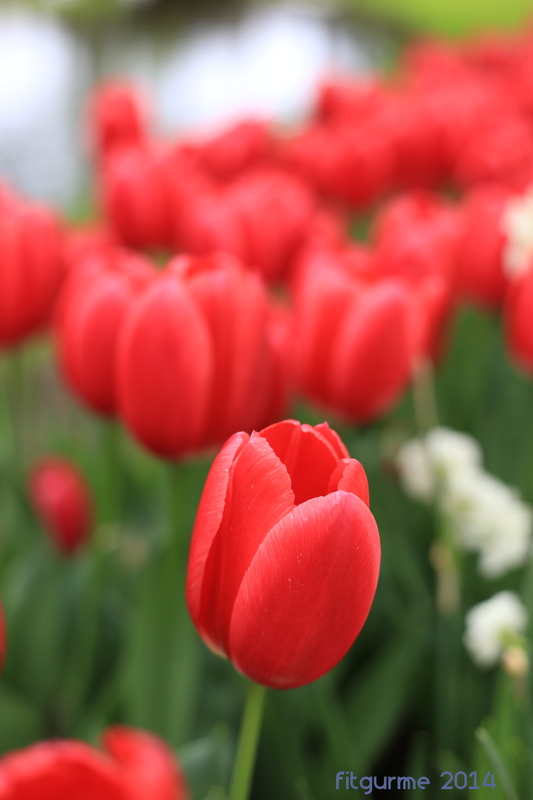 For family with kids, if you have enough friends, it may not be that bad at all, if you don’t mind living in a small city (compared to where I came from, a city with 16million population!). 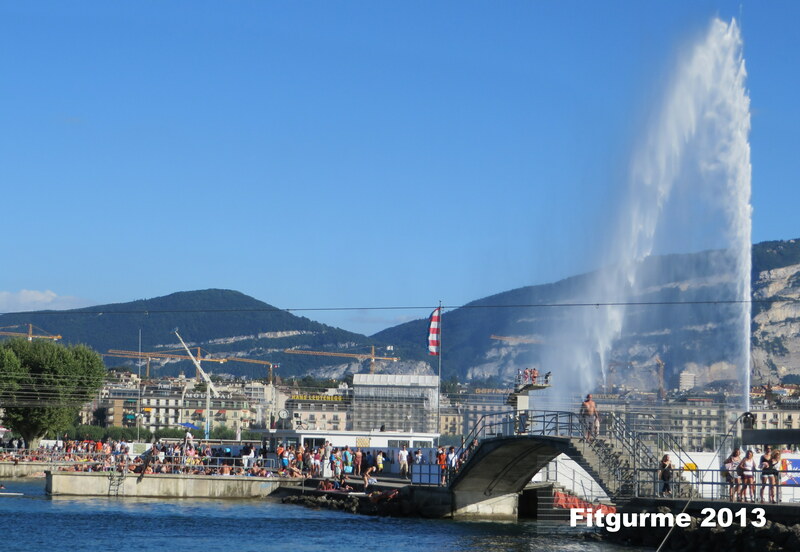 However, it becomes such a different place when the summer comes and even more when the Fetes de Geneve starts! Swimming in the lake is never like in the sea but when you are far far away from the salty waters, you can bear with the sweet one!! 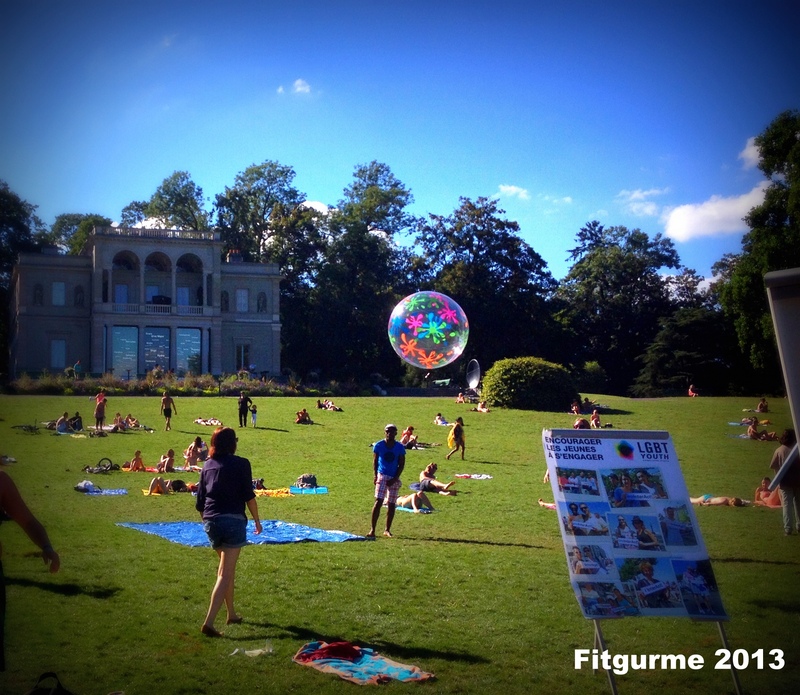 The parks in Geneva are always nice but during summer, it becomes like a beach club with quiet, happy, sportish or lazy people! 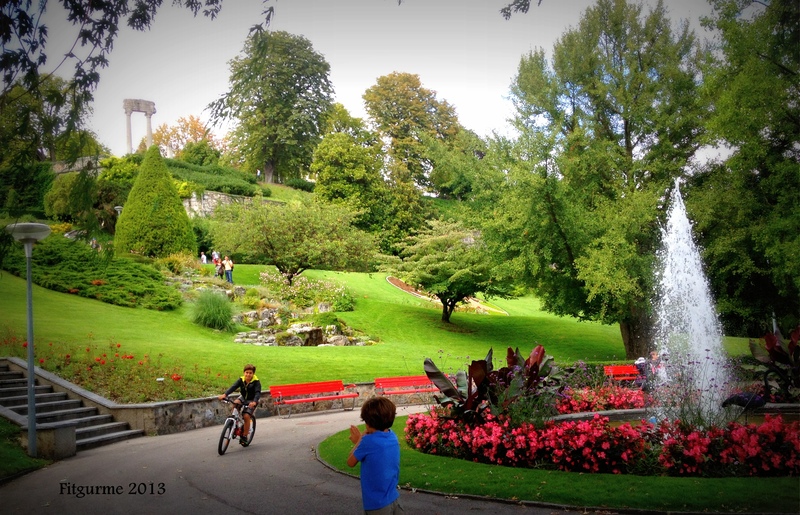 These pictures are from Parc des Bastion. The lake water does look pretty clean but they say it may be allergic for some sensitive skins due to ducks and swans around! 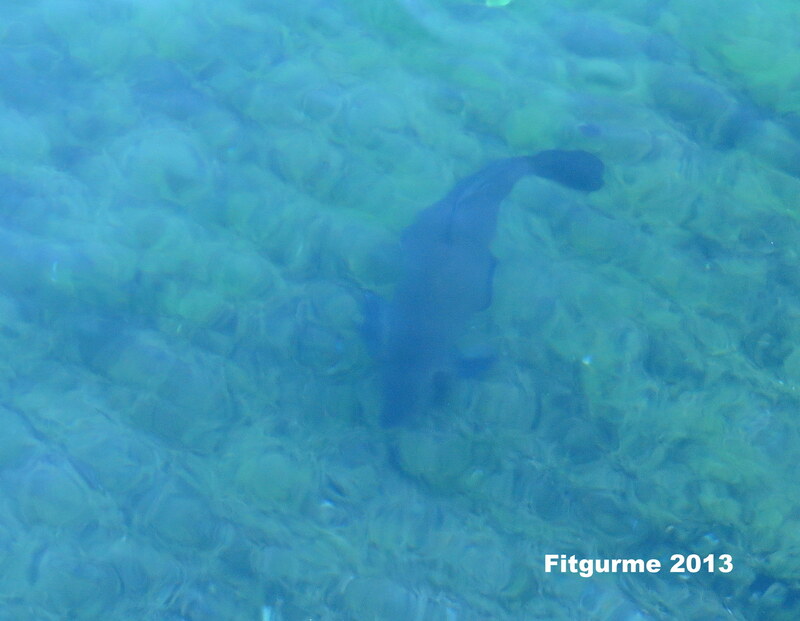 It did not hurt us last year but lets see what will happen this year..
We even saw this big fish (must be around 50cm) right in the middle of sailboats at the city center! 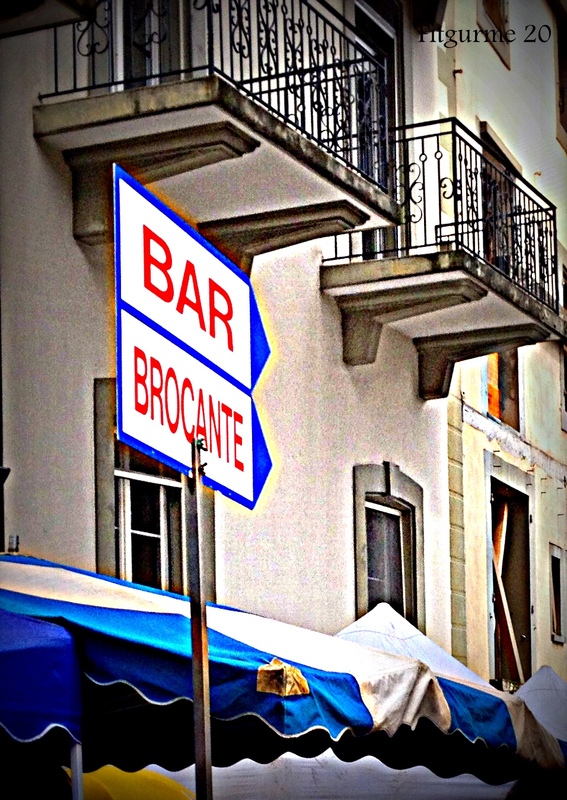 It must be one of the very few cities which has “plage” in the city center!! 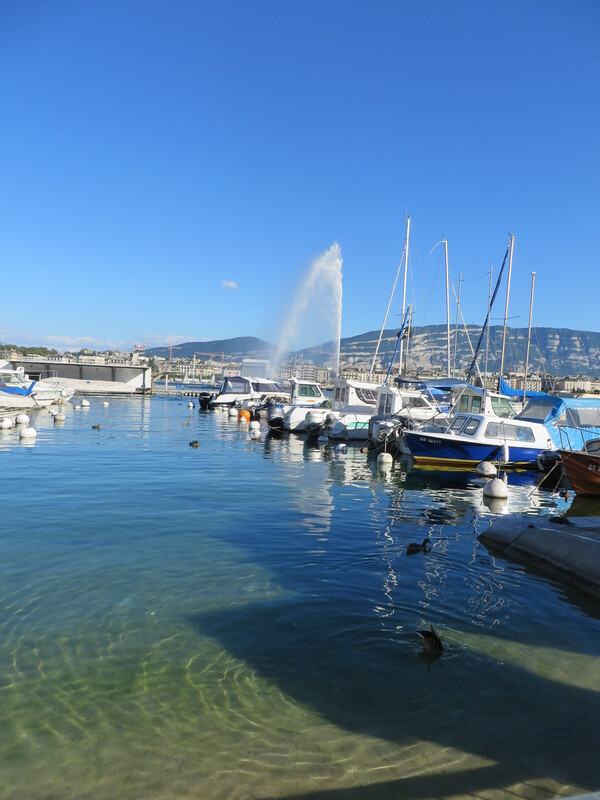 Bain des Paquis is the place for young people and for the ones which very little time to go further in the lake! And you can reach even more places from here. 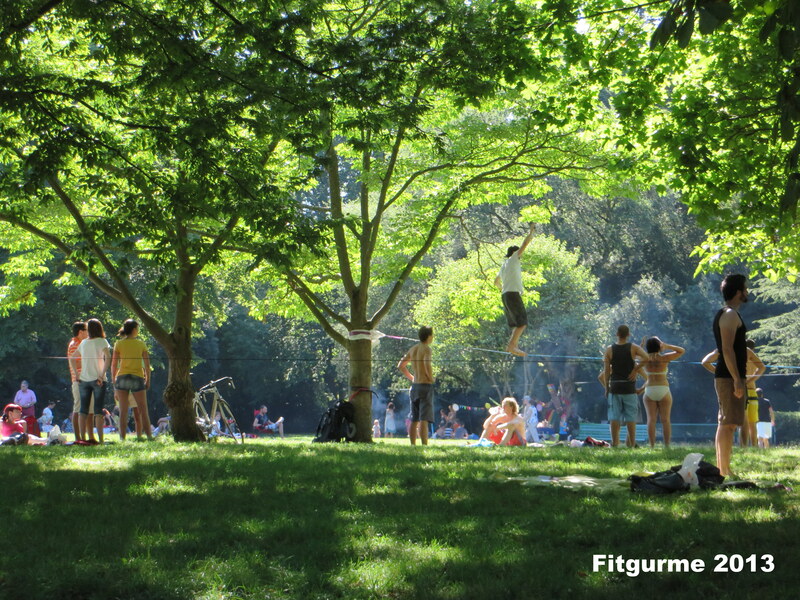 And after a long long winter and winter-like spring, everybody in the city are sooo happy to have the sunny days back ! 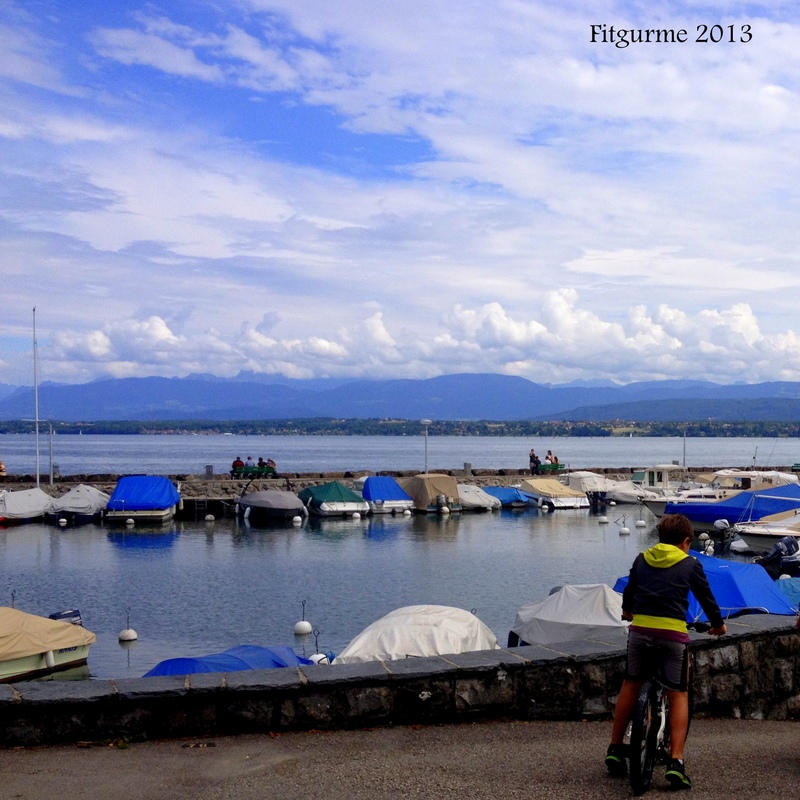 And hope that summer prolongs into fall and compansate the days with endless clouds during May and June ! Enjoy these views while you can ! 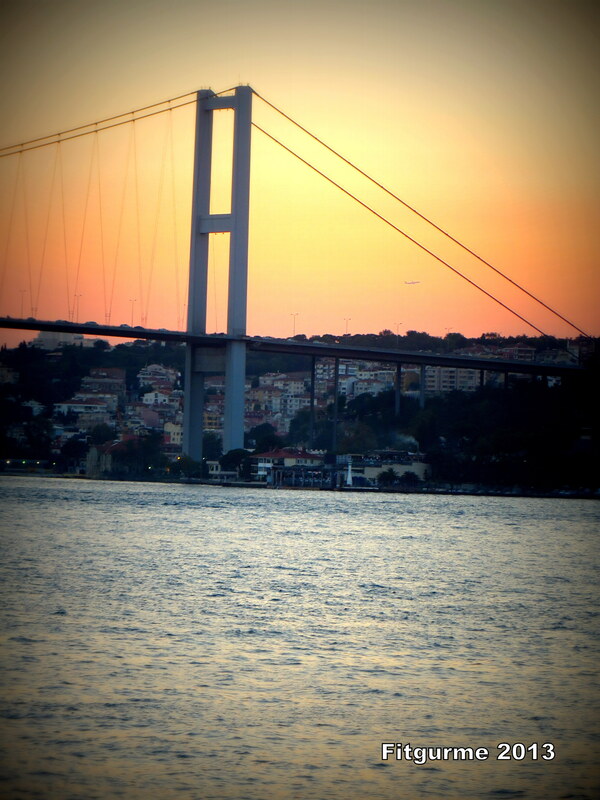 Istanbul my love, how can you be still so beautiful ?? 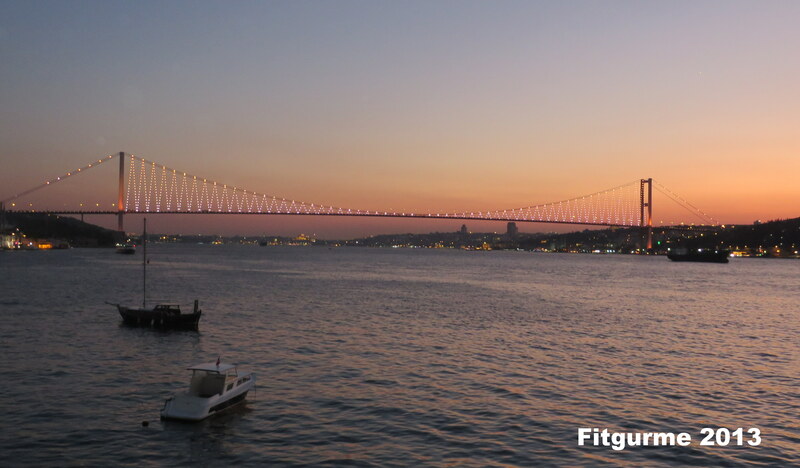 Posted by fitgurme in Gourmet Side, Istanbul, Travel, Welcome ! Unfortunately, they ruin you, punch & bite you, kick and hit you from your face almost every moment ! But here you are, wearing your best jewelery (sometimes a bit too much but still nice!) and as the sun comes down, changing the color and scene for crazy people like me, not being able to put down the camera all the evening!! 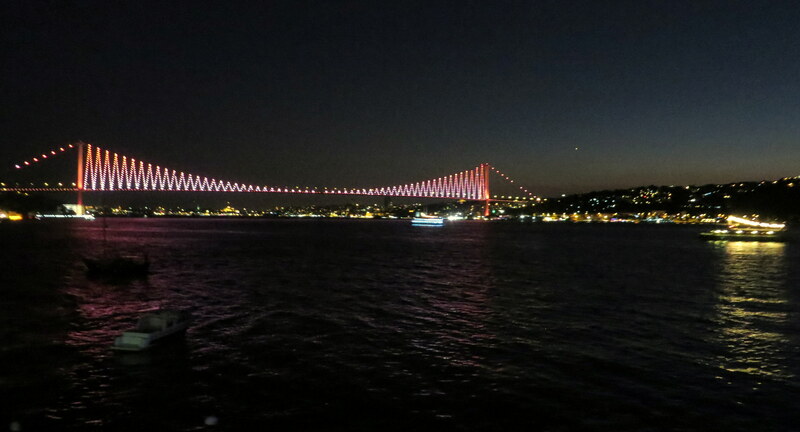 For the last one year, I’ve been living in a very small city, and now the traffic, people, roads and ugly buildings around Istanbul seems much worse to me. 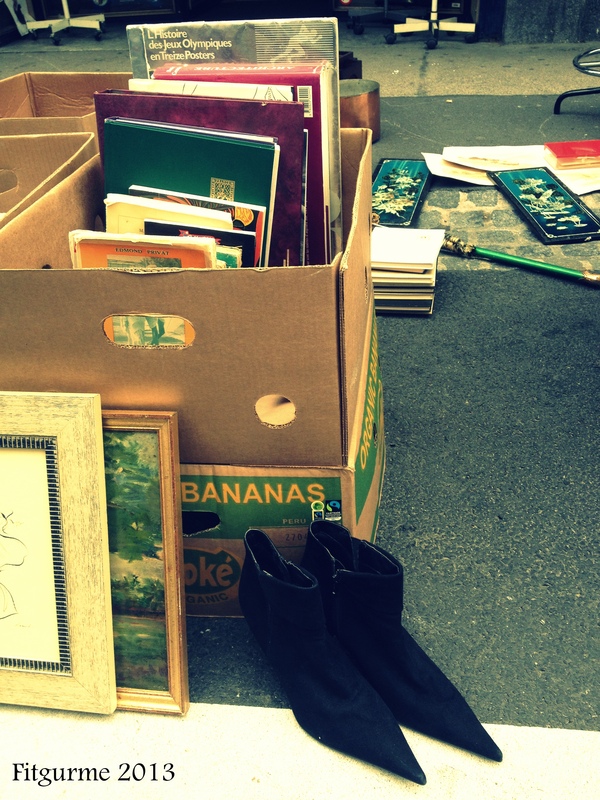 But somehow, this city always keeps its treasures in a safe place for us to enjoy from time to time! 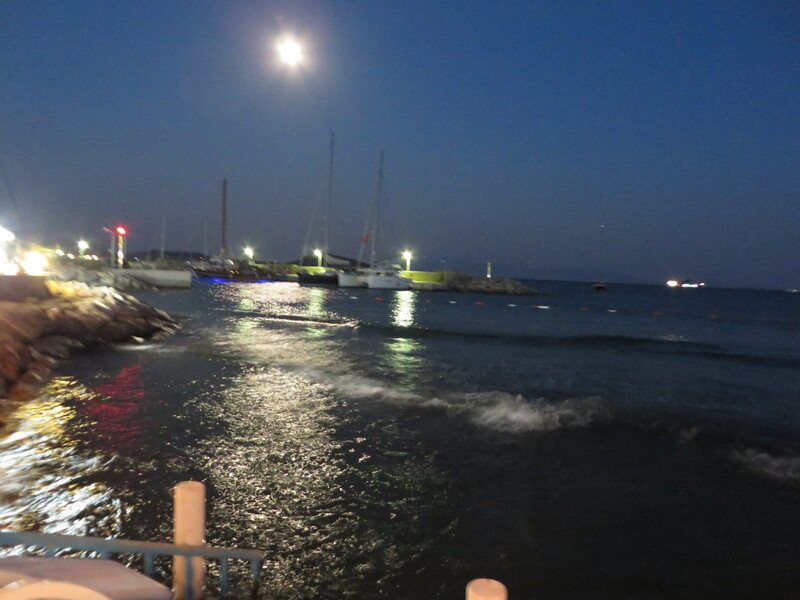 Nothing is comparable to have a wonderful dinner with best friends with these views at the background! 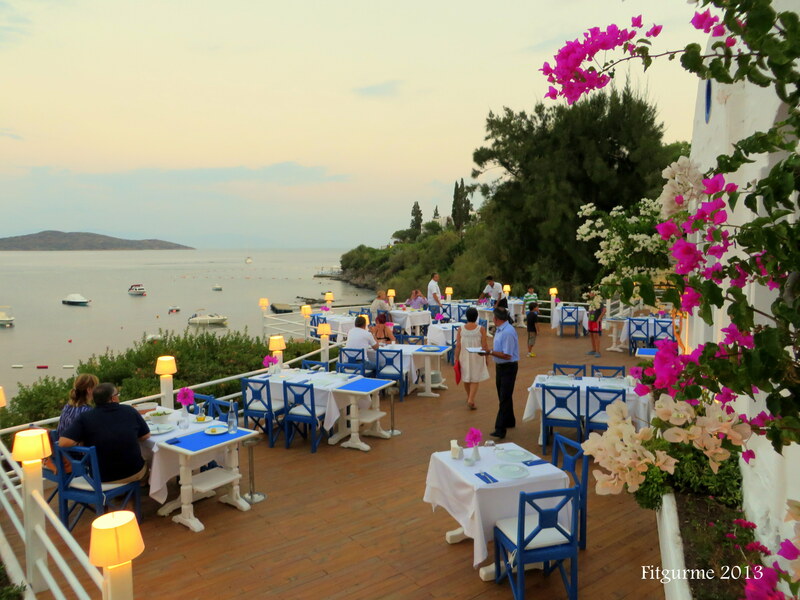 This time we were at Deniz Yıldızı Restaurant at Çengelköy, one of the best places to have this lovely scenery. 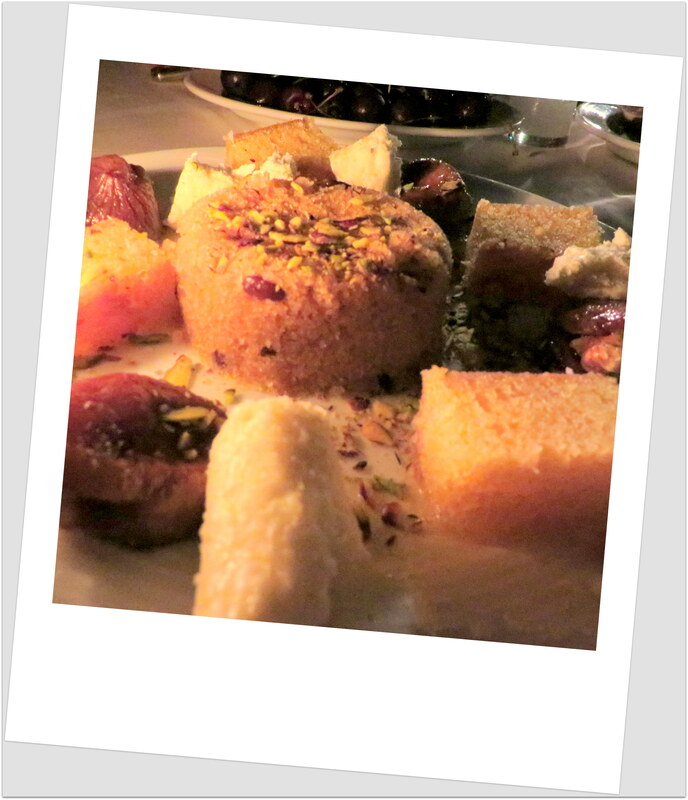 To end this delicious evening with meze and fish, this sugar bomb was served as the compliments of the house! 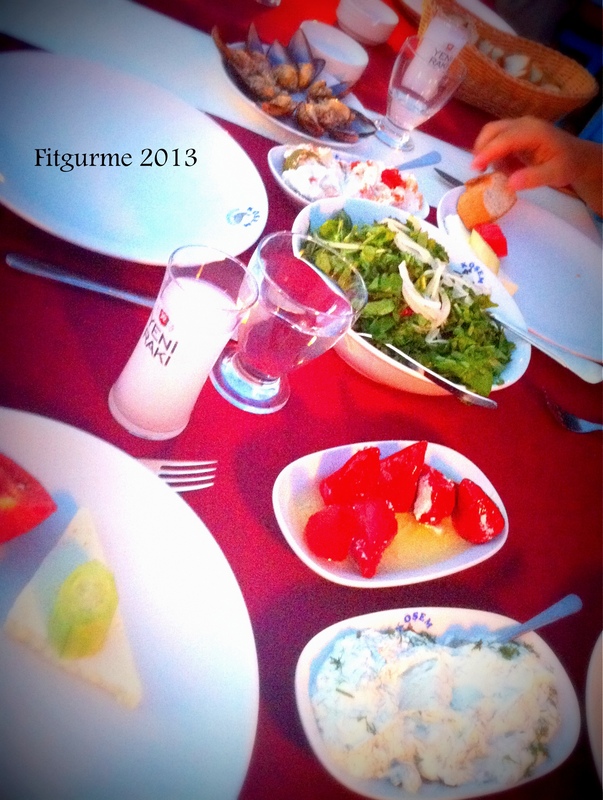 Well yes, trying to stay “Fitgourmet” is a very tough job after having 5 weeks in Turkey! This year, with some swimming support, I managed to gain 1kg and not more!! This is a success for me and hopefully next year with some more sports maybe I can manage to come back without this excess luggage!!! 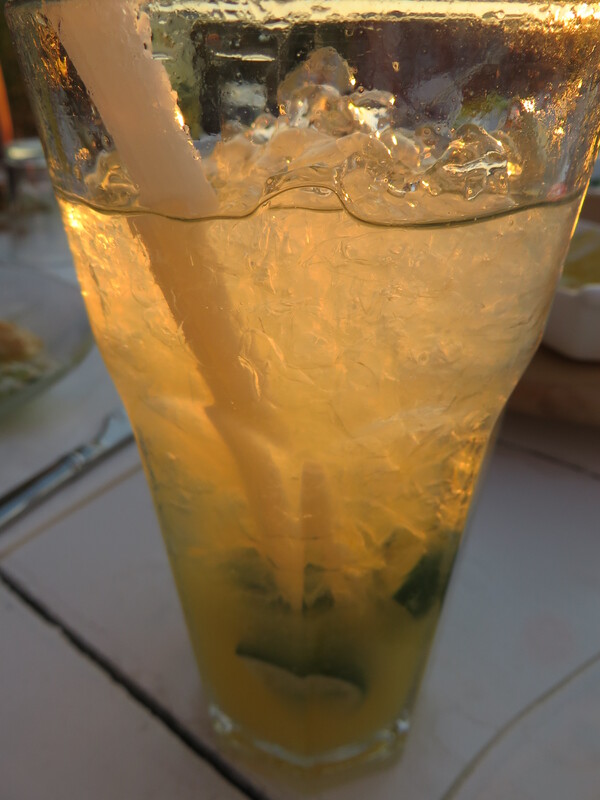 Posted by fitgurme in Gourmet Side, Travel, Welcome ! 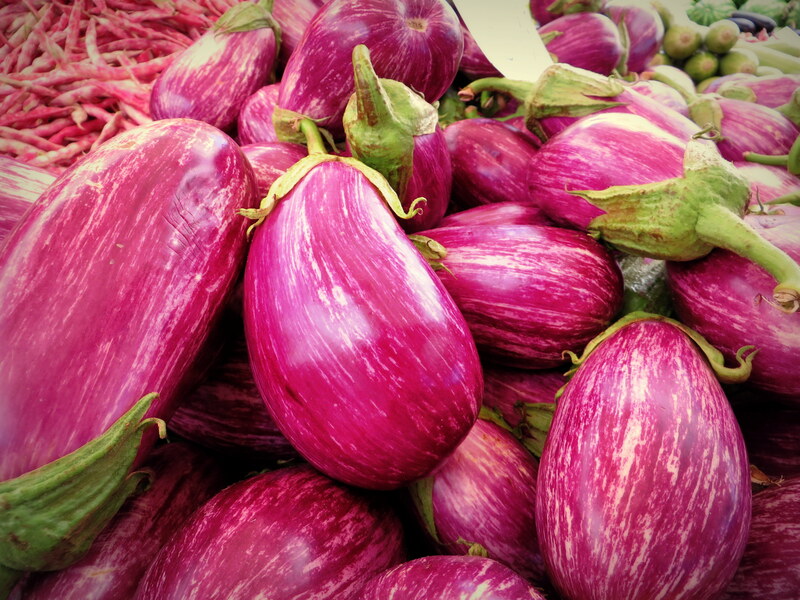 How can you not fall in love with these beauties! 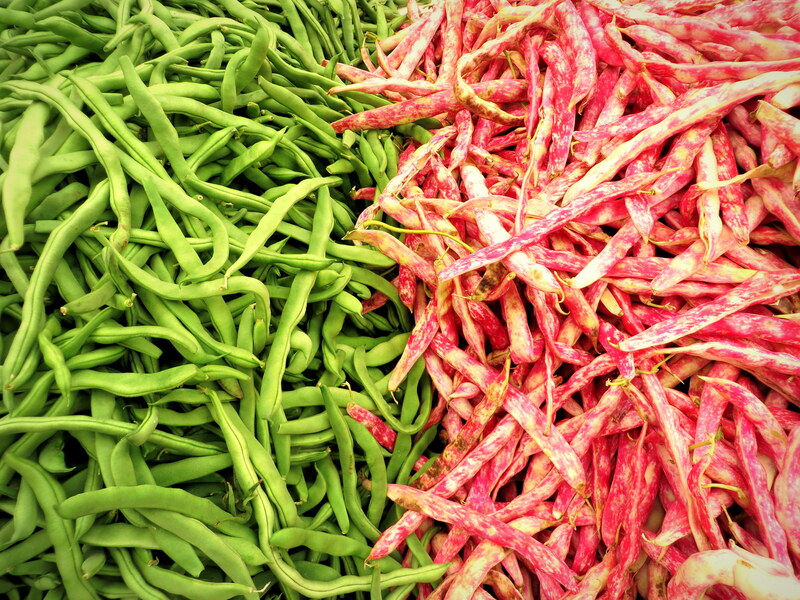 Visiting food markets in Turkey and if summer time in Bodrum and Marmaris is such a pleasure for both eyes and later for your appetite! 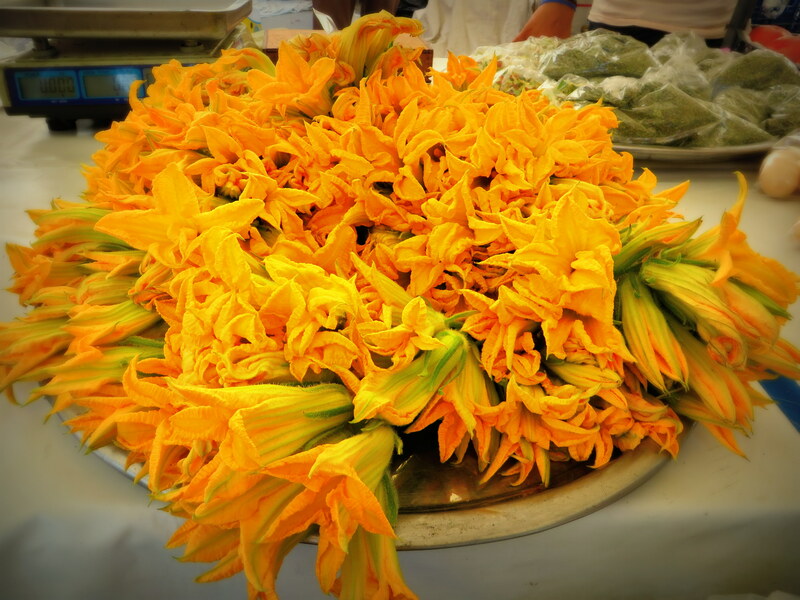 These flowers are not for your vases but for making stuffed zucchini flowers, with rice and spices..mmm delicious and beautiful! 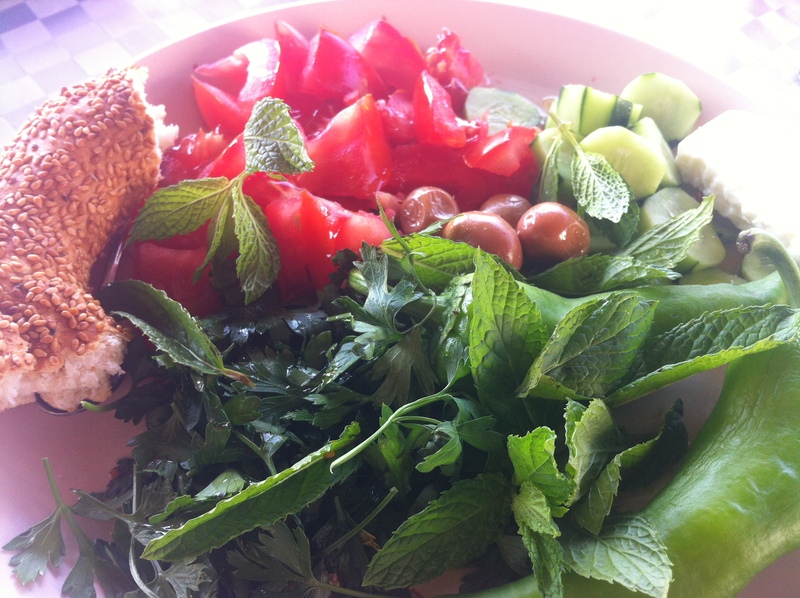 here is my recipe but you must translate to English from Turkish at Büyükkeyif website. 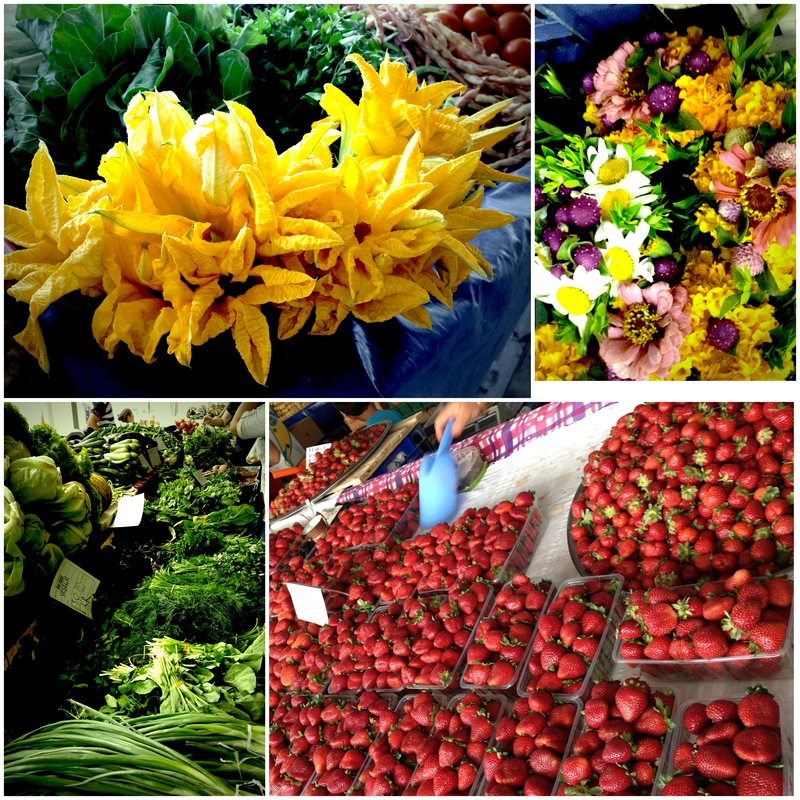 As you go around the market, you can find all colors of nature, beautiful smells of green herbs, delicious fruits…everything you need for a tasty-healthy-happy life!! 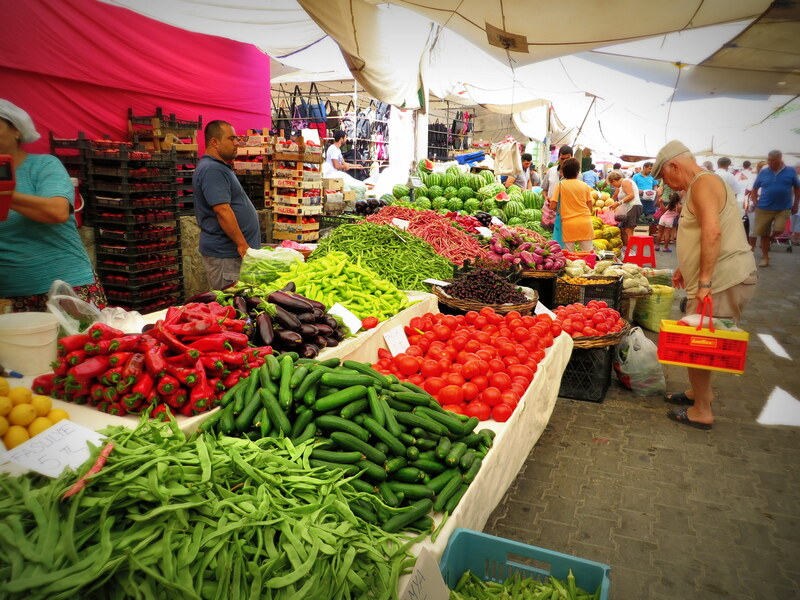 Here is another lovely market in Marmaris..
And here is our delicious breakfast table, prepared by my parents and their lovely neighbours right from the market itself and enjoyed just before shopping as they do every Sunday!